The U.S. and Texas flags fly high each morning at the F. L. Moffett Campus. arranged for a gift of flags from the Shelby County Republican Party. Mrs.
kids and long may the flags wave!" booths to talk to Panola College graduates and prospective students. delicious bar-b-que served by Nutt 5 Catering. Region 14 all- tournament team. deserves this moment.” Head Coach Grant McMillan stated. Byers who have already signed division one. Game 3: (if necessary) Saturday 5/6 at 11:00 A.M.
Gate Prices: Adults $5 Children $3 and will accept All Passes. Teacher Spotlight – Mrs. Robin Hooper is the seventh and eighth grade English Language Arts teacher at Timpson Middle School. She has worked at Timpson ISD since 2004 as a teacher and before then she worked as a paraprofessional in the library. The favorite part of her job is that she has the opportunity to change a child’s life. She is the TMS Fellowship of Christian Athletes sponsor and enjoys helping out with Ag. Mrs. Hooper graduated from Timpson High School in 1985. She is married to Tracy Hooper and they have a daughter Margo who also graduated from THS and is now a senior at Stephen F. Austin State University. She enjoys watching her niece April show cattle. Mrs. Hooper strives to use a variety of instructional strategies and student centered activities to enable her to meet the needs of all students. She incorporates the use of technology both in her instruction as well as student learning activities. She also strives to help students develop a love for reading. She recognizes and conveys to her students the importance of being a good reader that is needed for academic success as well as a life-long skill that is needed in every area of life. She encourages and provides students the opportunity to read both fiction and nonfiction selections such as short stories, essays, poems, plays, newspapers, textbook and online information. She also teaches writing. She stresses to her students the importance of being able to express themselves and communicate effectively both in writing and speech. Mrs. Hooper is a kind and supportive teacher while at the same time having high expectations for her students to succeed. She strives to ensure her students will master the skills needed to be ready for high school. Mrs. Hooper is an excellent role model for her students and we truly appreciate all she contributes to Timpson ISD. 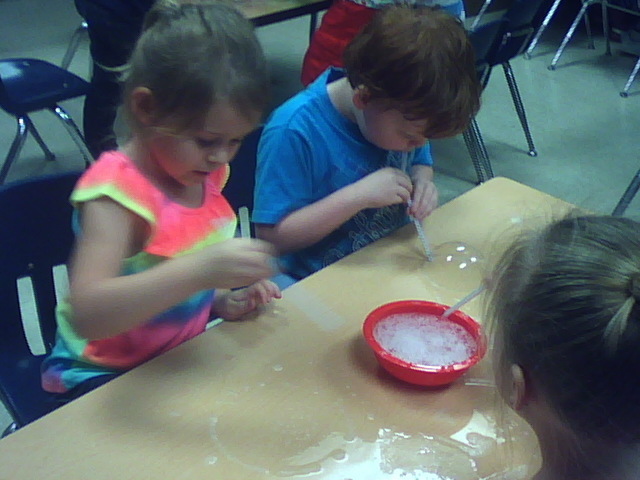 TES Pre-K News - Today, the Timpson Elementary School Pre-K class made a solution of water and liquid detergent. We then put some on the tables and had some in bowls at each table. Each student had a straw. 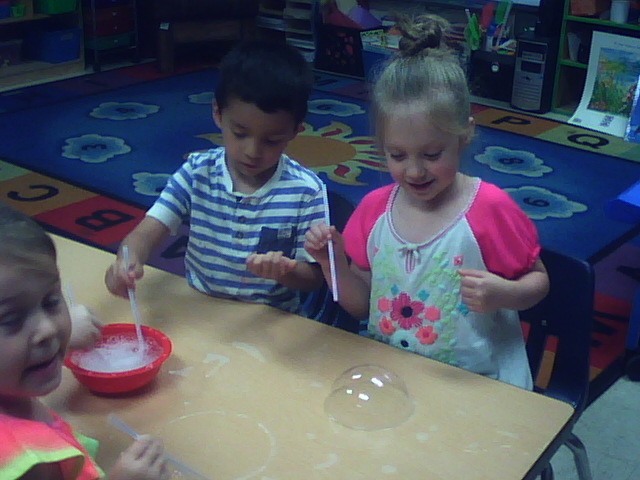 With the straws, the students made bubbles on the tables. The students compared the bubbles to each other and made several bubbles in their area to see which one was the biggest. Students started noticing that when the bubbles popped, you could still see the imprint of the bubbles on their table. They had a lot of fun. The Center Roughrider baseball team has a home game vs. Rusk Eagles on Friday, April 28 at 7 p.m. The Carthage varsoty baseball team has a home game vs. the Tatum Eagles on Friday, April 28 at 7 p.m. The Shelbyville varsity baseball team has an away game at Gary on Friday, April 28 at 6p.m. The Lady Dragons softball team will play Big Sandy in Zavalla Today at 5:00 p.m. in the Bi-District Playoffs. Sandy Payne, Fannie Watson, and Matt Pool (not pictured). students are set to graduate May 11th. Jefferson, Emma Locke, Lexi Moody. Dragons will play Gary on Friday, April 28th @ 6:00 pm in Gary. pm in the Bi-District Playoffs. be Thursday May 4 at 7:00 at the CHS auditorium. Broadway-style song and dance number called "We Gotta Big Show Tonight." tonight from 4-5:30 at the Windham Civic Center. Tenaha Boys Baseball Team lost to Joaquin 14-0. Attention all young ladies from the age range of newborn to 19, the River City Fest Pageant is coming up on May 6th at the Logansport High School. Applications may be found on the website at Logansportrivercityfest.com under the EVENTS TAB, on the River City Fest Facebook page. Deadline for the application and fees is April 28th! 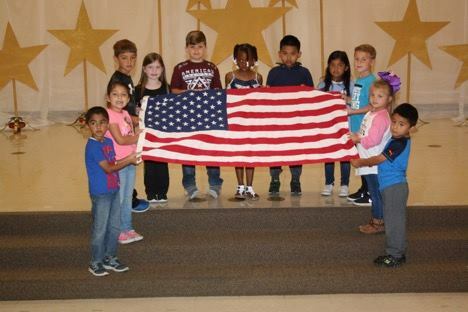 S. W. Carter Elementary School will have pre-kindergarten and kindergarten pre-registration for the school year 2017-2018 in the principal’s office April 24 – April 28. 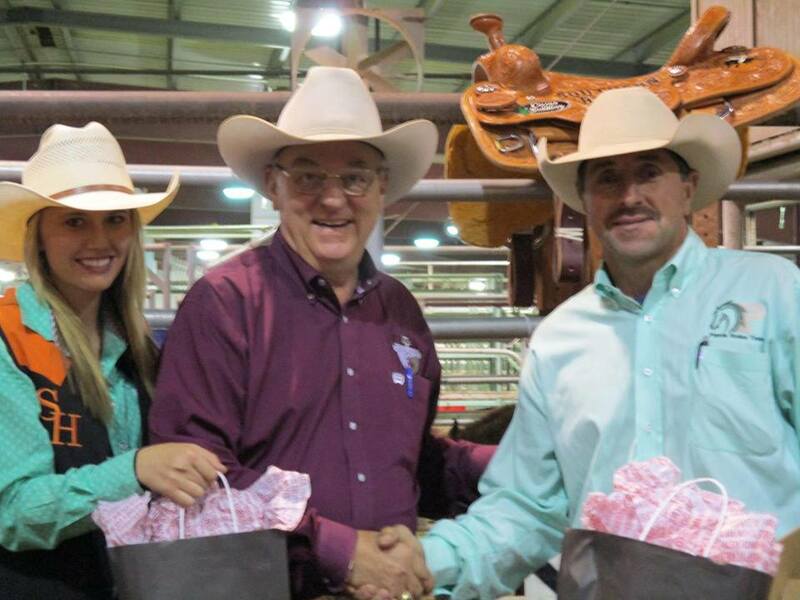 Registration will be held between the hours of 8:00 a.m. until 2:30 p.m.
Southern Region Rodeo Coach of the Year! students achieve success in the arena and out, says Coach Collins. --------------------- TISD Band Spring Concert – THS Auditorium @ 6:00 p.m. Teacher Spotlight – Mrs. Tanya Hammett teaches English II, English IV and is the dual credit English monitor at Timpson High School. This is her first year to teach at THS and she has 21 years teaching experience. Mrs. Hammett enjoys the respectful, family atmosphere at Timpson ISD. She says the faculty, staff and students welcomed her here as though she had been a Timpson Bear all along. She is a junior class sponsor and will be the THS cheerleader sponsor for the 2017-2018 school year. Mrs. Hammett said she became a teacher because of the influence two of her teachers had on her. Mrs. Freeman and Mr. Pirtle influenced her to become a teacher not only because of how they taught but also on the impact these two educators had on her life. She realized that by becoming a teacher not only could she teach them English but she could also help shape her students to be the kind of adults they would become. Mrs. Hammett says she always keeps in mind what she was like when she was her students’ age and relates to them in a way that helps her build relationships and trust with her students. Mrs. Hammett is an excellent example of the saying, “Students don’t’ care how much you know, until they know how much you care.” Mrs. Hammett’s dedication to her students shows how much she cares. She stresses to her students how important it is to learn to read. Reading is essential for success in all subjects and is truly a necessary life-long skill. She also said that if a student can read, they will be able to write. As a child, Mrs. Hammett did not have the opportunity to travel extensively but she said through reading she was able to visit and see places around the world. She hopes to provide these same opportunities for her students. Mrs. Hammett has a warm caring personality while at the same time having high standards for her students. We thank you Mrs. Hammett for all you do for our students. It’s official. Nurses across the state now have access to an online family nurse practitioner program that will be offered this fall by SFA. 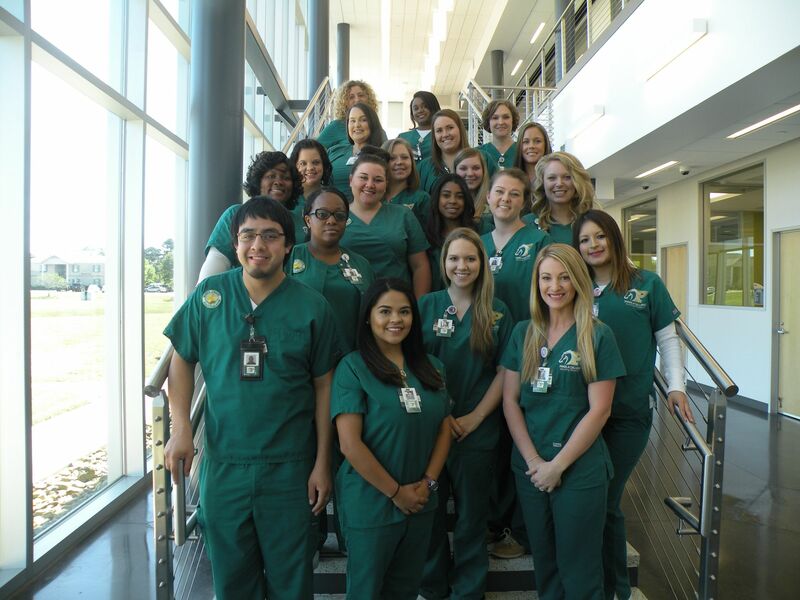 The Texas Higher Education Coordinating Board and the Texas Board of Nursing recently approved the Master of Science in Nursing program. "The new program will help the whole community as well as the School of Nursing," said Dr. Sara Bishop, director of SFA's DeWitt School of Nursing. "We are already one of the best-known schools of nursing in Texas - our graduation rates are excellent, and our students perform remarkably on their state board exams. This program will offer nurses access to graduate nursing education and provide much-needed primary care to citizens in Deep East Texas." Head coach Grant McMillan mentioned. from Iowa Western Community College. 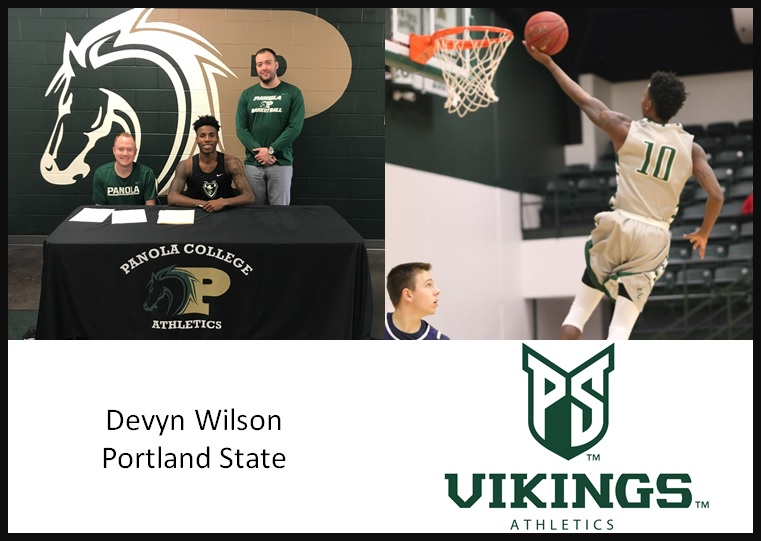 native, transferred to Panola after redshirting at Santa Clara last season. Rider Tennis season has come to an end. of the future leaders of the Rider Tennis Team. year. Congratulations!!! Senior Whitlee Reed and Junior Megan Dunn. and third place matches but finish fourth. Congratulations!!!! game but fell short and will have a few more years to improve and advance. incentive to work that much harder to succeed. forward to hearing of your success in the years to come. The Center Roughriders baseball team has a home game vs. Rusk Eagles on Friday, April 28 @ 7p. The Timpson Bears baseball team has a home game vs. the Martinsville Pirates today Tuesday April 25th @ 6p. 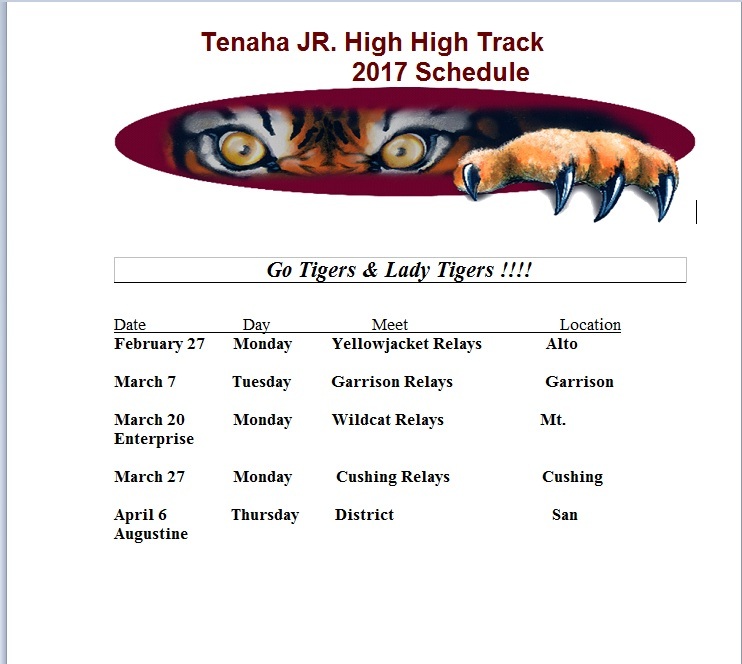 The Tenaha Tigers baseball team has an away conference game @ Joaquin today Tuesday April 25th @ 6p. The Carthage Bulldogs baseball team has an away game @ Rusk today vs. the Eagles @ 7p. Game 3 Saturday 4-29-17 30 minutes after game 2 if necessary. SFA’s Department of Government will host a lecture featuring Bill Whittle at 7 p.m. Wednesday, April 26, in the Dugas Liberal Arts Building, Room 102. Whittle's lecture is titled "The Implications for Liberty in the Wake of the 2016 Election and President Donald J. Trump." Whittle began his career as a freelance television editor and has worked with The Discovery Channel, The History Channel and NBC. He has written for National Review Online and the Daily Wire and is a frequent contributor to Breitbart news. The event is free and open to the public. For more information, contact the Department of Government at (936) 468-4408. Dr. Sherilyn Emberton as the 2017 Panola College Alumna of the Year. Dr.
both years, and getting to be a part of the campus spirit was so exciting! Master of Education degree from the same institution in 1981. Agricultural Studies and the Institute for Leadership & Counseling. Community Harvest Food Bank of Northeast Indiana, Inc. 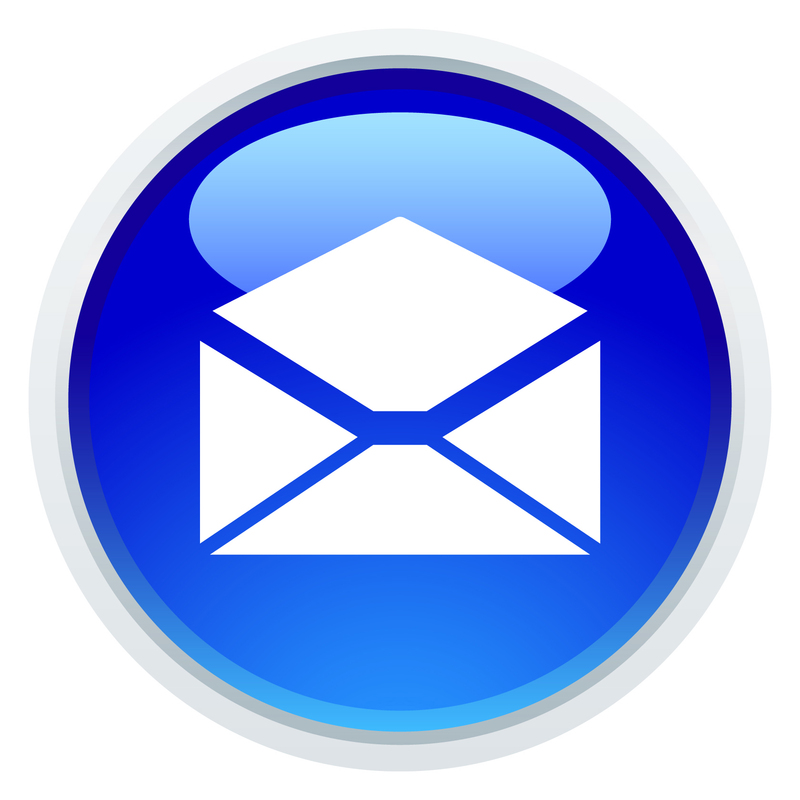 In January, Dr.
Chemical, Whitshire Hamroc, Beck’s Seeds, Lilly, Inc. and Purdue University. Senior Octaxious Evans was selected by the Texas Association of Basketball Coaches to play at the TABC All-Star Game in San Antonio on May 19. "It came out of nowhere to be honest," Evans said. "Mama Harrison texted me and she showed me I was on the roster. It felt good knowing I get to play again." Evans is the first player to play in the TABC All-Star Game from Center High School since Robert Culley in 1977, who was the first high school student in Texas to play in both the basketball and baseball All-Star Games. "This recognizes his abilities and accomplishments," Athletic Director Barry Bowman said. "It also recognizes our athletic department and specifically, our basketball program of Coach Harrison and his staff with the job that they've been able to do with Tae." To be selected for the All-Star Game, a player must be nominated by their coach. After that, the player must also be selected by coaches throughout the State of Texas. "The honor speaks for itself," Bowman said. 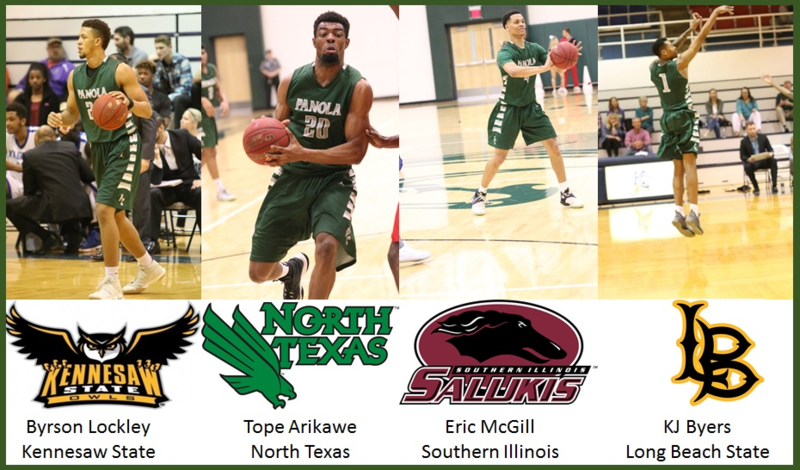 "This is a group of coaches, who spend their lives in a particular field like basketball, in the State of Texas who have decided that this young man has fit all the criteria to be selected to play in this game." Evans was elected into the 1st team of the 2017 District 16-4A, All-District Boys Basketball Team and the Class 4A Region III Basketball Team. Evans racked up a total of 496 points, 80 assists and 193 rebounds in the 2016-17 basketball season. "I'm proud of Tae," head basketball Coach Hiram Harrison said. "He's a hard worker, so he deserves it." Evans has became a leader and a role model for many athletes and students. He shows success pays off with hard work, and having good character makes a difference. Because of these qualities, Evans signed his letter of intent to play football at Boise State in the fall. "It's feels good to step up and play a role in other people's lives," Evans said. "It's a lot of pressure sometimes. You can't let nobody see you doing wrong cause then they’re going to think they can do wrong." A banquet will be held to honor the players and coaches on May 18 at 7:00 p.m. at The El Tropicano Hotel in San Antonio. The Boys 4A All-Star Game will begin at 6:00 p.m. at Blossom Athletic Center on May 19. There will be no charge for admission into the game. "He's going to do well, no doubt about it," Bowman said. "He's going to do well no matter what he chooses to do. He's just that kind of kid." 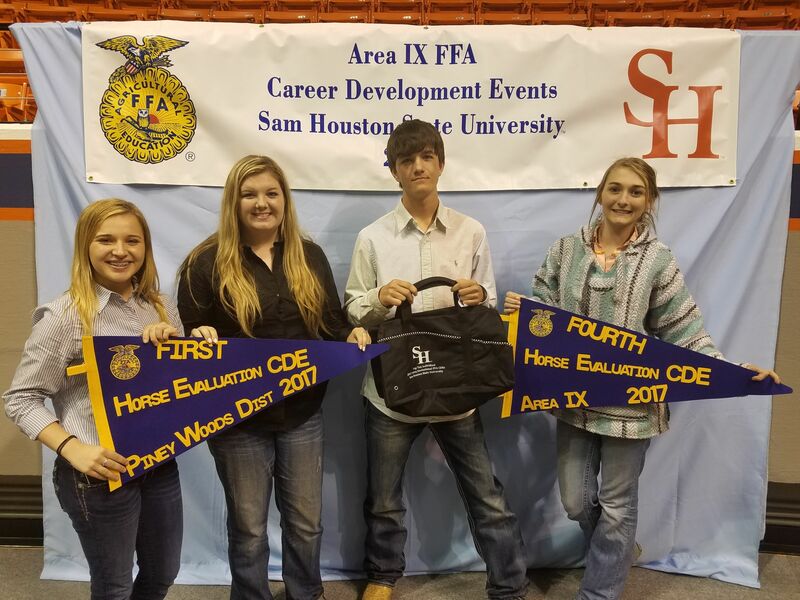 THS FFA News -Timpson FFA Horse and Dairy Cattle Team Advanced to the State Career Development Competitions! State Horse Judging Contest will be held at Texas Tech University on April 22nd. The team consists of Amanda Yates, Logan Yates, Hope Milford and Kayleigh Scroggins. 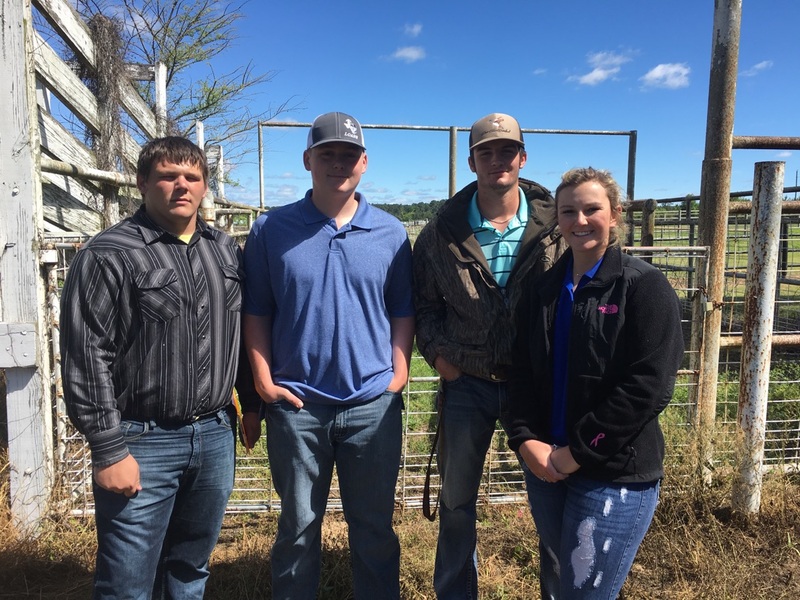 State Dairy Cattle Judging Contest will be held at Tarleton State University on April 27th. 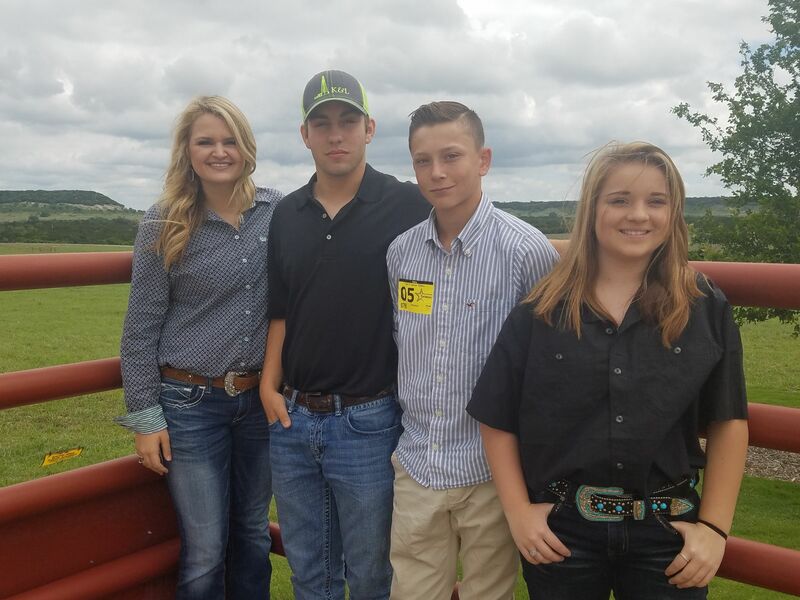 The team consists of Hunter Sample, Macey Jo Hanson, Kayleigh Wolf and Kyle Bush. Regional Track Shirts- Gold Shirt with red, white and blue Texas and black and white lettering. THESE FORMS ARE DUE TODAY ON MONDAY, APRIL 24th in order to get them shipped back to us before the Regional Meet. Turn forms in to Coach Jourden. Make checks payable to Timpson ISD. THS Graduate News - Timpson High School graduate, Ana Cuevas styled THS Counselor Charlotte Metcalf's hair at the Panola College open house. Ana is working towards her cosmetology license. Great job Ana! and the HB 5 Survey. The Joaquin Rams baseball team has a home game vs. Tenaha on Tuesday, April 25 at 6 p.m. The Carthage Bulldogs baseball team has an away game at Rusk vs. the Eagles on Tuesday, April 25 @ 7 p.m.
Shelby County Sheriff's Office investigator Del Birdwell spoke to Mrs.
Penick's Forensic Science classes at CHS today. drug testing and testing for gunshot residue. Teacher Spotlight - Mrs. Teresa Jourden is the biology, anatomy & physiology teacher at Timpson High School. She has taught at THS for three years. Mrs. Jourden is a hands-on teacher encouraging students to conduct experiments, participate in labs and do problem solving to find answers and solutions. Mrs. Jourden expands her own knowledge of her subjects and instructional methods by attending and presenting at regional and state workshops and conferences. The favorite part of her job is being around students. She loves being a part of their education. She hope that while she is teaching science she also will play a big role in helping students develop high character and a work ethic that will allow them to succeed once they graduate. Her own high moral character and strong work ethic allows her to be an outstanding role model to her students. This year Mrs. Jourden is helping coach athletics and she enjoys getting to see first-hand how the athletes’ hard work pays off. She says the Lady Bears work very hard through the summer and school year to be successful and their efforts do not go unnoticed. She says it is such fun to be around such great young ladies. Ms. Jourden has served as junior and senior class sponsor, fellowship of Christian athletes sponsor, and has coached the Science UIL Team for 3 years. She and her family enjoy being part of Timpson ISD and are thankful and blessed to call this home. We are thankful and blessed to have such a dedicated, hardworking teacher and coach in Mrs. Jourden. Thank you for all you do. Teacher Spotlight – Charlotte Metcalf is the Timpson High School counselor. This is her ninth year at Timpson High School. She taught biology for three years and has been counselor for six years. Watching her students grow into young adults and learning to take responsibility for themselves in academics, athletics and other extra-curricular activities is the favorite part of her job. She loves to see the students’ personality and self-confidence blossom by the time they graduate. 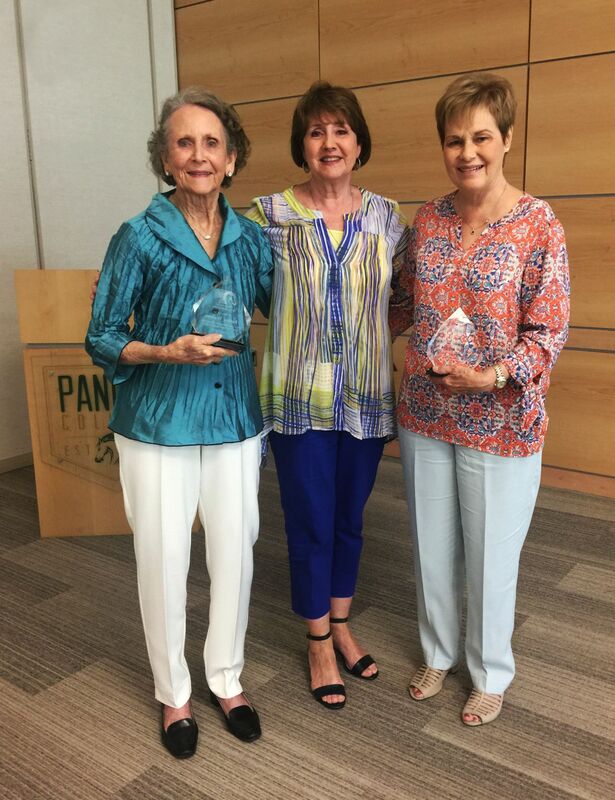 Mrs. Metcalf has also been instrumental in helping grow the TISD Collegiate Center program by helping students select college classes and helping develop the program so that it fits the specific needs of TISD students. She stresses to students the importance of taking advantage of the opportunity this provides to students to graduate with two years of college credit or a vocational/technical license that will have students job ready. Mrs. Metcalf is always willing to help others including students and staff. Her friendly and encouraging personality and her strong work ethic allow her to reach out to students and staff who trust her to help them in many areas. Mrs. Metcalf in addition to her busy schedule also helps sponsor the Shelby County Junior Chamber of Commerce and the THSA Youth Advisory Council. Outside of school, Mrs. Metcalf loves to be with her family in Timpson and her parents in San Augustine. She said her family spends a lot of time outdoors with horses, cattle, flowerbeds and gardening in the spring and summer. She also loves her church family and playing the piano in church. Thank you Mrs. Metcalf for being a dedicated counselor and your support to students and staff. 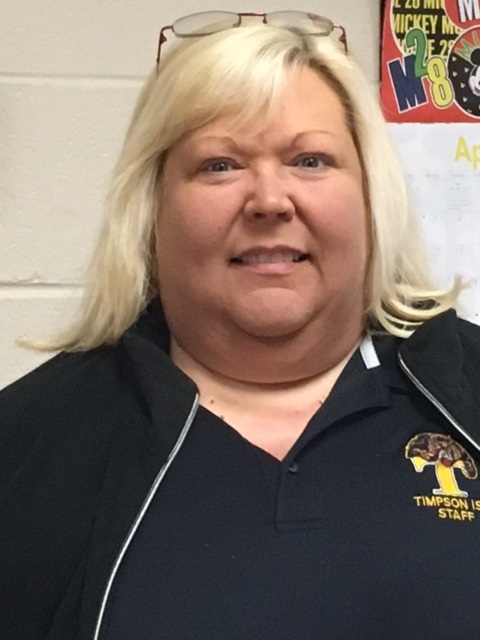 Staff Spotlight – Tina Samford has many job responsibilities at Timpson High School. She oversees the high school library, is district textbook coordinator, online dual credit monitor, Beta Club and Book Club sponsor. She also volunteers to chaperone senior class activities. Mrs. Samford has a personal love for reading and wants to encourage this love for reading in students. She encourages students to check books out of the library and gets student input on the types of books they enjoy reading so she can include these books in the library selections. She also gives the students the opportunity to discuss what they read with book club meetings and provide book related field trips that have included seeing movies of books they have read. She is also part of the TISD Collegiate Center team that is encouraging students to take dual credit classes with the goal of earning a two year college associates degree before graduating from high school. She oversees the online dual credit program monitoring students grades, progress and gets the academic help from teachers as needed. Mrs. Samford’s oversight and involvement in this program is a big reason our students have been so successful in earning college course credit while in high school. Mrs. Samford loves her job and considers herself extremely lucky to do what she gets to do. She enjoys being busy and active. She says working with students keeps her young! She went on to say the only downside of her job is saying goodbye to graduates to whom she has become attached. Although Mrs. Samford has a demanding schedule, she is always available to help others. For that and so much more, we appreciate all that Mrs. Samford does for our students and staff. Camp cost is $50.00 per camper which will include a Camp T-shirt. Lady Dragon Softball Game Today! April 21 @ 5:00 pm vs West Sabine at West Sabine. Dr. Robert Z. Selden Jr., research associate with SFA's Center for Regional Heritage Research, received an $11,000 grant from the United States Forest Service to fund, in part, the generation of 3-D models for selected lithic artifacts recovered from USFS properties in Texas. The models will be used in a geometric morphometric analysis designed to test a number of assumptions related to lithic technological organization, followed by phenotypic trajectory analyses that will be employed to posit an improved characterization of local lithic reduction sequences. Work on this grant will begin in May. Upon completion of the project, all 3-D models will be uploaded to ScholarWorks in a format where they can be manipulated and viewed in virtual reality. 4x4--2nd and A PR!! 4:17!! The Latin Lumberjacks ensemble at Stephen F. Austin State University will present a Cinco de Mayo concert from noon to 1 p.m. Thursday, May 4, in the plaza outside the Baker Pattillo Student Center on the SFA campus. The program will combine classical works of C.P.E Bach and W.A. Mozart with the diverse works of Mexican concert pianist, songwriter and recording artist Consuelo Velazquez, William Hanna and Joseph Barbera, Michael Jackson, Marc Anthony, Stevie Wonder, Seis del Solar, Gloria Gaynor and Walter Fuentes. The concert is free. For more information, call the SFA Fine Arts Box Office at (936) 468-6407 or visit www.finearts.sfasu.edu. This choral and orchestral masterwork will feature the A Cappella Choir, Choral Union and Women’s Choir, along with voice faculty members Debbie Berry, soprano; Ric Berry, tenor; and Nita Hudson, also. Chris Turner, assistant professor in the School of Music, will sing the role of Elijah. Tim King, director of choral activities at SFA, will conduct. 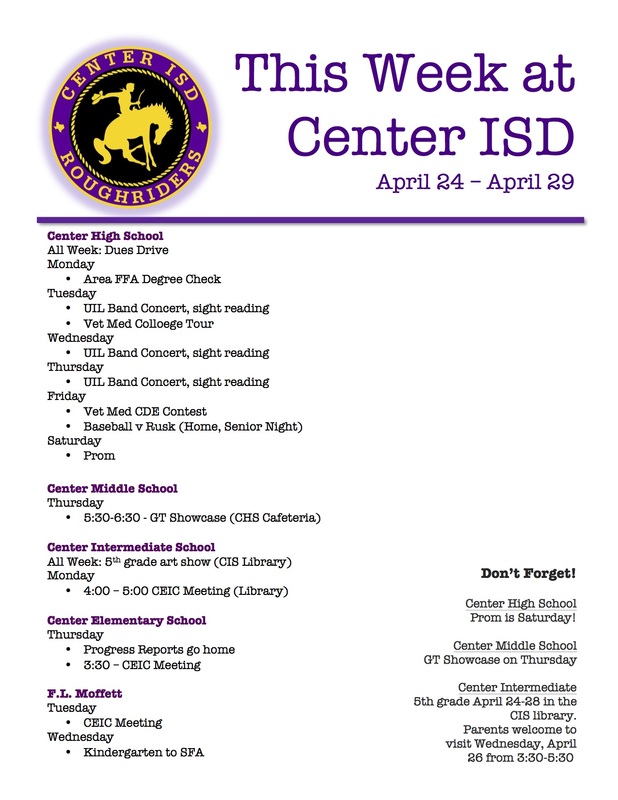 The Senior Parent Meeting will be Thursday April 20th due to UIL conflict. It will be located in room 307 at 5:30 pm. The Stephen F. Austin State University Wind Symphony will present “Tetelestai” at 7:30 p.m. Monday, May 1, in W.M. Turner Auditorium in the Griffith Fine Arts Building on the SFA campus. The program will feature “Tetelestai – A Symphony for Wind Ensemble” by Andrew Boss, along with works by Davide Della Cese, Pete Wiley and David Maslanka. 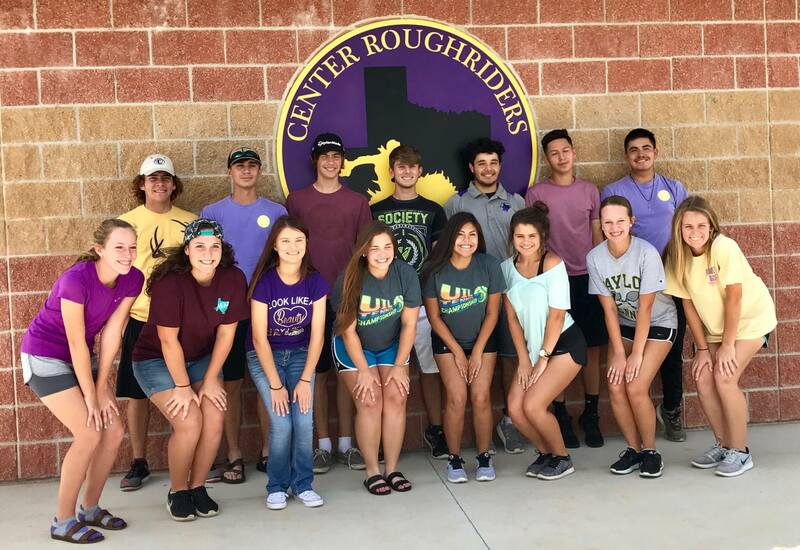 The Center Roughriders baseball team has an away game at rival school Carthage vs. the Bulldogs on Friday, April 21 at 7p. The Timpson Bears baseball team has an away game vs. the Tenaha Tigers on Friday, April 21 at 4:30p. The Joaquin Rams baseball team has an away game at Mt. Enterprise vs. the Wildcats on Friday, April 21 at 6p. 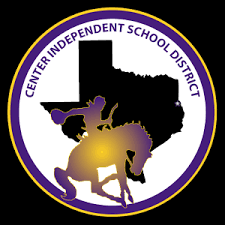 A regular meeting of the Board of Trustees of Center Independent School District (CISD) was held on Thursday, April 13, 2017 beginning at 5:30 p.m. at Center Independent School District Administration Board Room located at located at 107 Private Road 605 in Center, Texas 75935. James Greer called the meeting to order at 5:30 p.m. and declared a quorum. John Henry Holloway gave the invocation and Traci Willoughby led the Pledges of Allegiance. Mr. Greer called for a closed session at 5:32 p.m. under Texas Government Code §551.071 and §551.129 for presentation of Level III parent complaint by Shannon, Todd and Alexia Baldwin. The Board returned into open session at 6:06 p.m. No action was taken in closed session. A motion was made by James Greer, seconded by Matthew Mettauer to uphold the decision from the Level II grievance hearing. The Center Middle School Beta Club State competition winners were recognized by their sponsors noting that the students received more awards than ever before and will advance to the National competition in Orlando, Florida. A motion was made by Matthew Mettauer, seconded by Allison Johnson to approve up to $10,000 for transportation cost for the Center Middle School Beta Club to travel to National competition in Florida. A motion was made by John Henry Holloway, seconded by Matthew Mettauer to approve the consent agenda consisting of the minutes from the special called meeting on March 21, 2017 and the regular meeting on March 21, 2017, Investment Report (March 2017); Tax Collection Report (March 2017); Financial Reports (March 2017); payment approvals over $50,000 and Overnight Student Activity Trips. Danny Berry, Malcolm McKinley and David Golden presented the Board with concepts and information to consider in order for the District to accomplish the items on the urgent needs plan. A motion was made by Matthew Mettauer, seconded by Casey Lout to authorize architects to design CHS culinary kitchen, slight renovation to current field house, new field house concept and CES driveway/parking expansion plus allocate monies for CES playground equipment not to exceed $100,000, girls and boys weight room equipment, flooring at CHS and CMS weight rooms, 150 new athletic lockers and security fencing at CIS/CMS/CES in accordance with the enlisted proposals. The Board adjourned the meeting at 7:35 p.m. The Board reconvened the meeting at 7:50 p.m. The District received one proposal from our current food service management vendor, Southwest Foodservice Excellence. A motion was made by John Henry Holloway, seconded by Matthew Mettauer to approve the proposal for Food Service Management Company to Southwest Foodservice Excellence. A motion was made by Matthew Mettauer, seconded by Allison Johnson to increase the out-of-district tuition to $500 per child – maximum of $1,500 per family, accept transfers all year and to approve the 2017-2018 Student Transfer Agreement. A motion was made by Traci Willoughby, seconded by John Henry Holloway to approve the Lead Teacher job descriptions for CHS and CMS with the revision of general knowledge of curriculum and instruction to extensive knowledge of curriculum and instruction. Each member of the Board received a copy of the TASB Policy Update 107 (affecting Local policies). 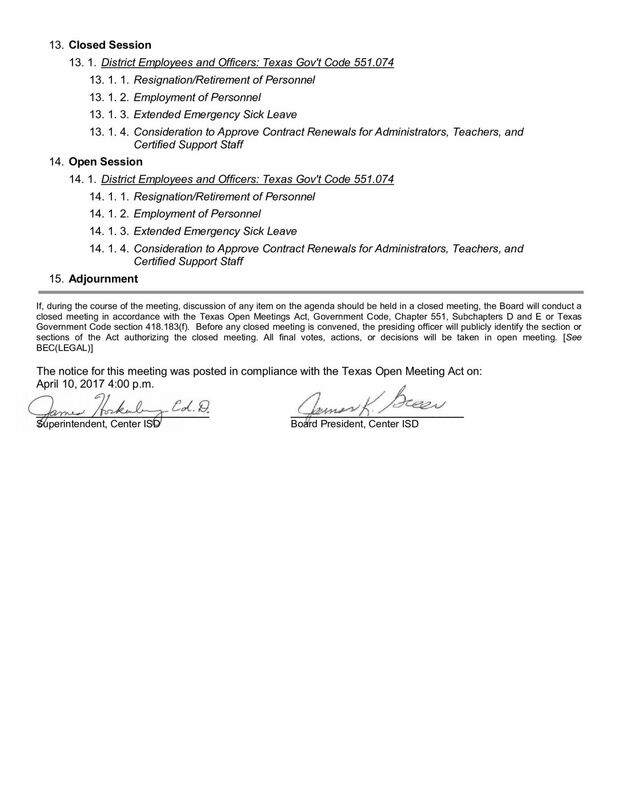 James Greer called for a closed session at 8:09 p.m. under Texas Government Code §551.074 for consideration of employment of contracted personnel, terminate probationary contracts, contract renewals for Administrators, teachers and certified support staff, resignation/retirement and extended emergency sick leave. The Board returned into open session at 9:20 p.m. No action was taken in closed session. 14.1.1 A motion was made by John Henry Holloway, seconded by Matthew Mettauer to accept the resignations/retirements as recommended by Superintendent Hockenberry. 14.1.2 A motion was made by John Henry Holloway, seconded by Traci Willoughby to approve the employment of personnel as recommended by Superintendent Hockenberry. 14.1.4 A motion was made by Matthew Mettauer, seconded by Traci Willoughby to approve the contract renewals for Administrators, Teachers and Certified Support Staff as submitted by Superintendent Hockenberry. A motion was made by Matthew Mettauer, seconded by Traci Willoughby to adjourn the meeting at 9:22 p.m.
Jasmine Osby, Tori Babin, Hannah Hall, Faith Ridgeway, Harley Hinton, Kurtrick Allen, Trenton Roland, Mac Wheeler, Ben Swearengen, H’leighn McClelland , Corey Bearden , Terrell Cartwright and C.J. Kirkwood. The bands at Stephen F. Austin State University will present the annual “Concert in the Park” Sunday, April 30, in the wooded area along Vista Drive and in front of the Wright Music Building on the SFA campus. The concert begins at 2 p.m. and is free to the public. Doice Grant, owner of Tatum Music Company in Longview, will be honored with an induction into the SFA Band Directors Hall of Fame. 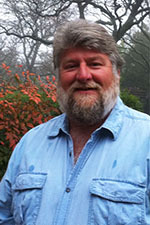 Grant taught at Carthage and Center before joining the leadership of Tatum Music in 1994. Kappa Kappa Psi and Tau Beta Sigma, honorary band service fraternity and sorority, will sell hamburger plates beginning at 1 p.m. Plates are $5 each and will include a burger, chips and beverage. For more information, call the SFA Fine Arts Box Office at (936) 468-6407 or (888) 240-ARTS or visit www.finearts.sfasu.edu. program and provide direct instruction to enhance learning. for the 2017-2018 school year beginning Tuesday, April 18, 2017. Teacher Spotlight – Mrs. Danielle Smith is the Timpson High School family and consumer sciences, art and yearbook teacher. This is her fourth year at THS. Mrs. Smith really enjoys working at Timpson because of the wonderful relationships she has formed with the faculty, staff, students and community. She says THS felt like home from the first day she walked into the building. Mrs. Smith has many professional honors including Phi Upsilon Omicron Home Economics Honor Society, Who’s Who Among American High School Teachers, Timpson High School Teacher Who Makes a Difference, Teens in the Driver’s Seat Sponsor and 2013 Shelby County Chamber of Commerce Teacher of the Year. Mrs. Smith says, “ I have a serious commitment to do my best for each group of students that I have the opportunity to teach. I strive to be a positive influence in the lives of my students. I believe it is vital for students to feel at ease in the classroom. I hope that my classroom is always a welcoming environment, free from ridicule and sarcasm. I have high standards for my students. I want them to improve academically, but I also want them to gain personal skills and character traits that will help them to be successful and happy in the future. Mrs. Smith also strives to give her students practical applications of what they learn in the classroom and supports them being involved in the community with such projects as Teens in the Driver’s Seat, Family Career and Community Leaders of America and American Cancer Society projects. Mrs. Smith says she is blessed with a wonderful, supportive family including her husband Michael Smith and son Cutter Smith Mrs. Smith strives to base her instruction on student need and learning level. She uses student based hands on curriculum. She strives to conduct positive discipline management to promote student responsibility, problem solving skills and student accountability which are skills students will use for a lifetime. Mrs. Smith is a positive, encouraging teacher who is a true multitasker that is able to accomplish great things for our students. Thank you for all you do Mrs. Smith! Center Roughrider Boys Baseball had a close game, but lost to the Henderson Lions 0 - 1 last night. The Timpson Boys Baseball team won last night against Mt. Enterprise Wildcats 5 - 2. A dedication ceremony celebrating the naming of the Robert and Kathy Lehmann Chemistry Building will be held at 11 a.m. Tuesday, April 25, in the Baker Pattillo Student Center Plaza, located at the front entrance to the Chemistry Building. 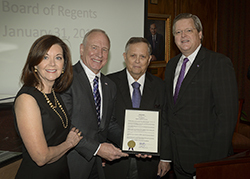 SFA’s Board of Regents voted to name the building in the Lehmanns’ honor in January. SFA’s College of Sciences and Mathematics will host the second installment of the STEM Business and Industry Speaker Series from 12:30 to 1:30 p.m. Thursday, April 27, in Kennedy Auditorium on campus. The event aims to connect students to STEM professionals and will feature two guest speakers, including professional Dr. Scott H. Coleman, SFA regent and Houston-area dentist, and current SFA STEM student Marlon Walls. Faculty members are encouraged to inform students of the event. Admission is free and open to students of all majors. For more information, contact Kim Carmona, project coordinator for SFA's College of Sciences and Mathematics, at (936) 468-5197. The University of Texas Rio Grande Valley’s Double Bass Quartet will present a master class and will perform at 1 p.m. Saturday, April 29, in the Music Recital Hall on the campus of Stephen F. Austin State University. The quartet will perform Sergei Prokofiev’s “Peter and the Wolf,” “Afro Sambas” by the icons of bossa nova, Baden Powell and Vinicius de Moraes, and “The Mysterious Color of Vampire Sleet at the Moment When Light Becomes Wine” by Austin-based P. Kellach Waddle. Admission is free. The Music Recital Hall is located in the Tom and Peggy Wright Music Building. For information, call the SFA Fine Arts Box Office at (936) 468-6407 or (888) 240-ARTS or visit www.finearts.sfasu.edu. A special meeting of the Shelbyville School Board will be held on Thursday, April 20th at 12:00 p.m, in the Board Room of the Shelbyville Independent School District. when Northeast Texas C.C. visits Carthage, game time is set for 3pm. *Christian Boulware* homered off of Sprinkle, driving in three runs. third *Colby Price* singled off of Sprinkle, driving in one run. by a single by *Logan Berlof* and a single by Price. zero runs, three hits, striking out two, and walking zero. surrendering two runs, three hits, striking out one, and walking one. three runs to lead Panola. surrendering three runs, four hits, striking out nine, and walking one. Malinowiski homered in the third inning. Boulware* made the most plays with nine. an error and a home run by *Christian Boulware*. innings, allowing one run, six hits, striking out six, and walking zero. Four relievers helped Panola close out the victory. *Colton Brasher* threw one and one-third innings. Morris each collected two hits to lead Panola. Center Middle School Chapter of 'My Sister, Myself' organized January 25, 2017. It is an organization created out of a need to see young girls empowered as future leaders of our community. 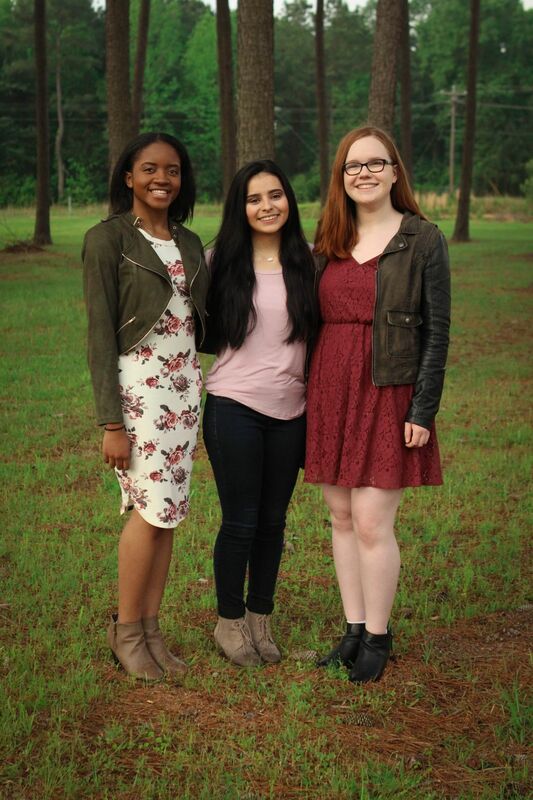 The Chapter's mission is to help young teenage girls build self-esteem, develop leadership skills, become role models for other teens their age and recognize the value of community service. Through weekly chapter meetings facilitated by adult leaders, My Sister, Myself helps middle school girls learn from their peer mentors and adults, how to better understand and address the issues they face. In doing so, the girls develop confidence, leadership skills and compassion for others. -------------------------- Baseball vs. Mt. Enterprise – Home @ 6:00 p.m.
-------------------------- Softball vs. Douglass – Home @ 5:00 p.m.
------------------------ Baseball vs. Tenaha – There @ 4:00 p.m. 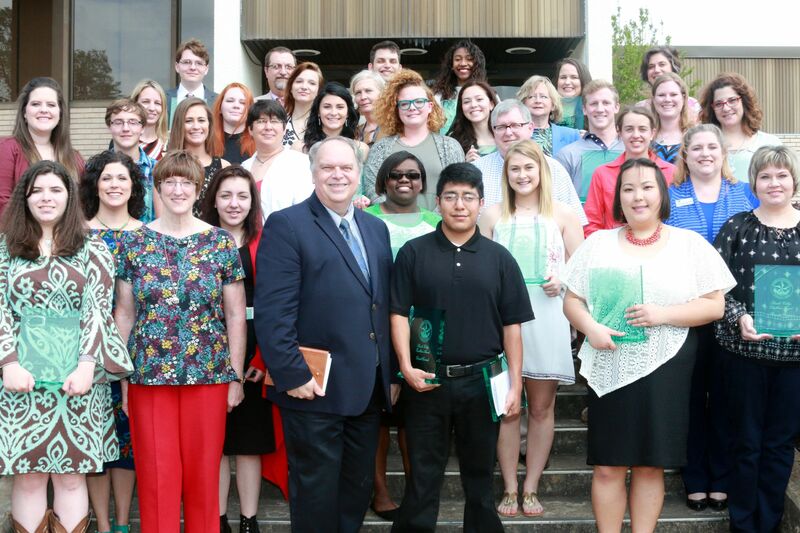 Teacher of the Year – Congratulations to the Shelby County Chamber of Commerce Timpson teachers of the year. The teachers will be honored at the Shelby County Chamber of Commerce teacher reception on April 26 at the John D. Windham Civic Center in Center. Teacher Spotlight – Mrs. Leisa Chadwick is the Timpson Elementary School fifth grade language arts/reading teacher. She has taught 24 years with seven of those years in Timpson which is her alma mater. Teaching has always been a passion for Mrs. Chadwick. You can see the passion she has for teaching and her students by the way she greets students each day, the time she spends ensuring each student is learning, the skills needed to be successful and ready to go on to middle school and her care for not only what they learn but for the whole child. Mrs. Chadwick says she loves to be able to open the windows to her students minds by sharing many different types of genres and letting them truly enjoy learning. Her goal has been to build relationships with these students and prepare them for life. Mrs. Chadwick has been involved in m any extra-curricular activities such as UIL, Valentine dances, and has served on the site based team for TES. 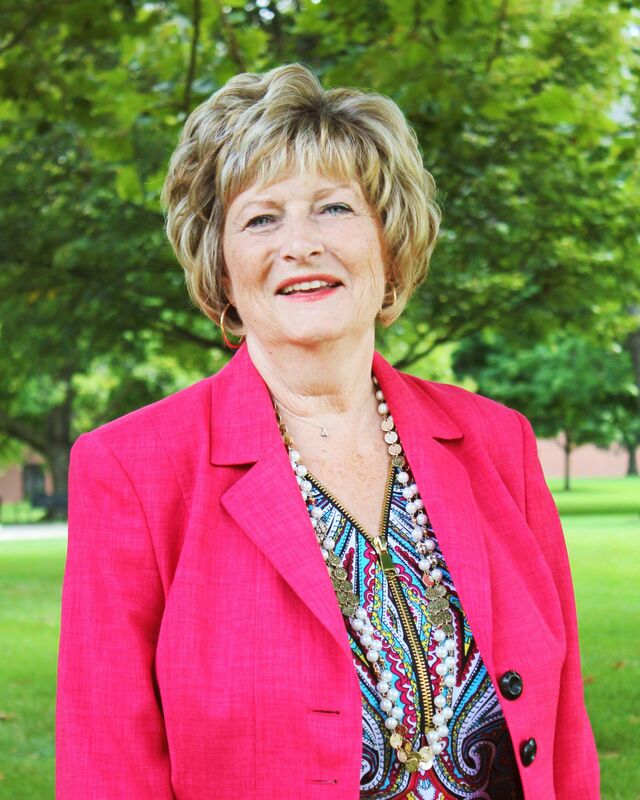 Mrs. Chadwick said, “I am saddened but yet at the same time rejoicing at being able to retire this year. I have thoroughly enjoyed my career as a teacher. I have learned so much from my colleagues and students.” She wishes to express her thanks to all the parents and kids who have made her career rewarding. In turn Mrs. Chadwick has greatly rewarded the students who were fortunate to have her as their teacher and the staff who has had the privilege to work with such an outstanding teacher. Thank you Mrs. Chadwick for your dedication and service to the teaching profession and to Timpson Elementary School. Teacher Spotlight – Mrs. Tammy Penhallegon is the fourth grade English Language Arts teacher at Timpson Elementary School. She has taught 18 years and this is her first year teaching in Timpson. Her job is to teach students the writing process and to learn to write for a variety of purposes and audiences. These are writing skills students can use both in school and in their future careers. She sets an example to her students by writing herself when the students are writing. She said that sharing with students allows them to develop their own ideas and take ownership in accomplishing a piece of writing of which they are proud. She stresses to her students how important writing is. Mrs. Penhallegon said that writing is the most challenging skill to teach, but that it is very rewarding. What she likes best about her job is that young people are so funny. She enjoys interacting with young minds and hearing their thoughts each day. She loves seeing the smiles on their faces and enjoys all the hugs. She loves being a positive role model in their lives and feels good when the kids feel successful and accomplished. In the past she has been a part of many activities such as Harvest festivals, parades, football games, field days and dances. She looks forward to helping with future events at Timpson ISD. Mrs. Penhallegon said she enjoys working for Timpson ISD. Having such a wonderful staff and community that makes her feel welcomed is one of the greatest pleasures of being back in her hometown. Thank you Mrs. Penhallegon for the skill and caring you’ve brought to Timpson Elementary School. Teacher Spotlight - Mrs. Melanie Sanford is the Timpson Elementary School fourth grade math teacher. She has taught in Timpson for 10 years. There are many facets of teaching Mrs. Sanford enjoys. She loves the age of the children she teachers and the subject. She enjoys presenting math in many different ways in order to be able to reach her students and help them master the learning objectives. Mrs. Sanford said, “Students come to me on so many different levels and my main goal is for each student to make progress.” Her focus is on individual student growth. She also has a strong desire to help her students become confident in themselves and in their ability to learn. The state assessment (STAAR) results each year reflect the positive influence Mrs. Sanford has on her students. Math is often challenging for students but Mrs. Sanford delivers her instruction in a way that allows each student to be successful. She has high expectations for her students in academics and behavior and builds their confidence and skills to be able to reach those expectations. Thank you Mrs. Sanford for the love and support and expectations for success that you have for all students. hamburgers were prepared on both days for the athletes. The Center Roughriders baseball team has a home game vs. the Henderson Lion on Tuesday, April 18 @ 7p. The Timpson Bears baseball team has a home game vs. Mt. Enterprise vs. the Wildcats on Tuesday, April 18 @ 6p. 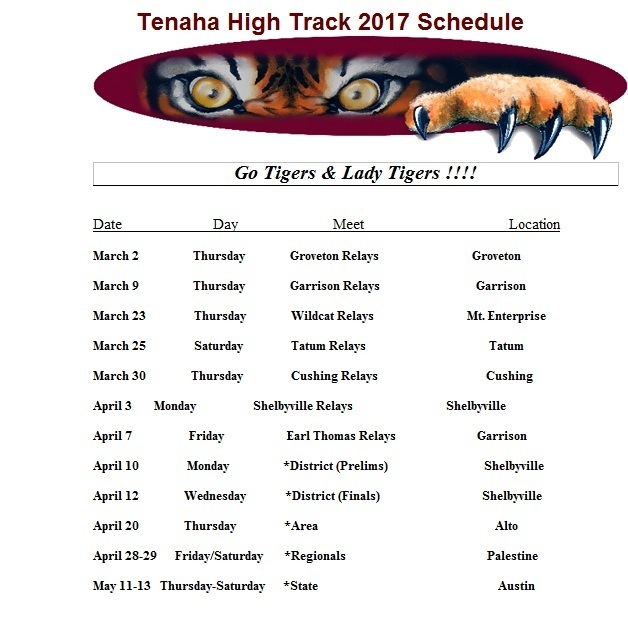 The Tenaha Tigers baseball team has an away game @ Shelbyville vs. the Dragons on Tuesday, April 18 @ 6p. The Joaquin Rams baseball team has an away game @ Woden vs. the Eagles on Tuesday, April 18 @ 6p. The San Augustine Wolves baseball team has an away game @ Broaddus vs. the Bulldogs on Tuesday, April 18 @ 12p. 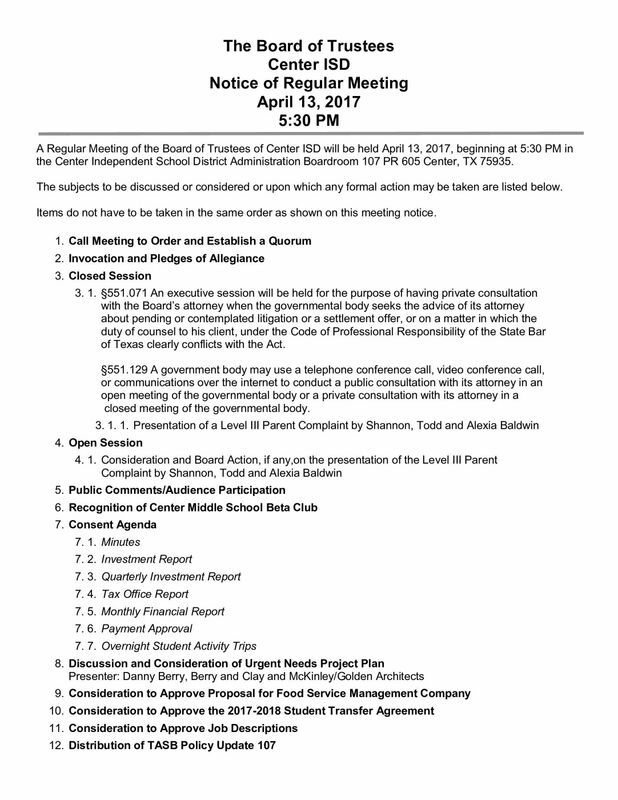 Notice is hereby given that on the 17th day of April 2017 the Board of Trustees of the Joaquin School District will hold a regular meeting at 6:00 p.m., at the Administration building, Joaquin, Texas. 551.071 Private consultation with the board’s attorney. 551.072 Discussing purchase, exchange, lease, or value of real property. 551.073 Discussing negotiated contracts for prospective gifts or donations. 551.074 Discussing personnel or to hear complaints against personnel. 551.076 Considering the deployment, specific occasions for, or implementation of, security personnel or devices. 551.082 Considering the discipline of a public school child, or complaint or charge against personnel. 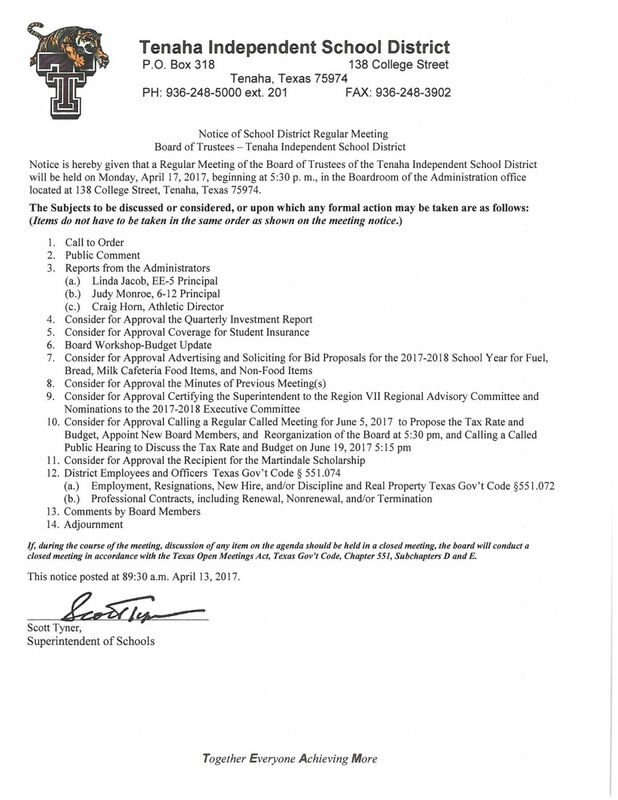 9 Designation of date and time of next meeting of the Board of Trustees of the Joaquin ISD – May 15th at 6:00 p.m.
On this 13th day of April 2017, this Notice was mailed to news media that had previously requested such Notice and an original copy was posted on the bulletin board outside the School District Administration Building at 1:00 p.m. on said date. 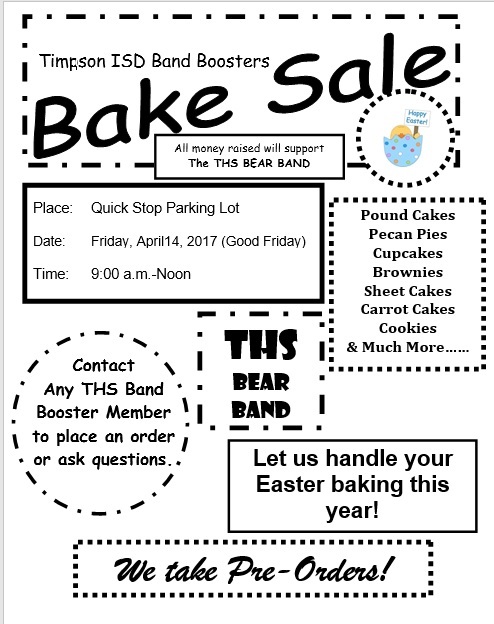 THS Band Booster Bake Sale - The Timpson High School Band Boosters are having a bake sale TODAY, Friday April 14, beginning at 9:00 a.m. at Quick Stop. See attached flyer for more details! Thank you for your support! 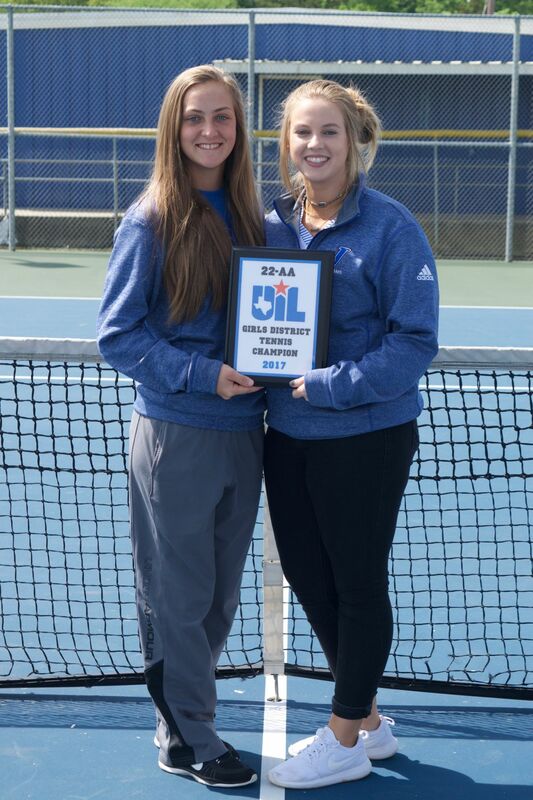 THS Tennis Players Compete in Regionals - Timpson High School students Brock and Brylee Behrens will be competing next Monday and Tuesday, April 17-18, in the Regional Tennis Meet. Last week they won the district mixed doubles championship in Center. Good luck to Brock and Brylee! 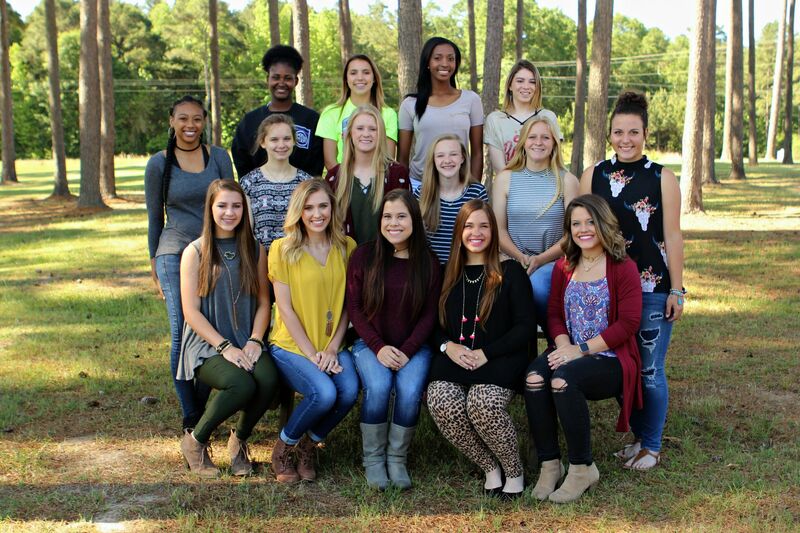 Lady Bear District Track Results - The Lady Bears placed second with a total of 136 points in the 32AA district track meet. Attached is the track sheet data showing events, schools, student names, time/distance and points. More information about Timpson results will be in the Monday Bear Update. The top four place finishers will compete in the area track meet in Cushing, Wednesday, April 19. Varsity Bears District Track Meet Results – The Varsity Bears track team placed second in the 32AA district track meet. The top four finishers will compete in the area track meet Wednesday April 19 in Cushing. Additional information about the district track meet will be in Monday’s Bear Update. Congratulations to the Varsity Bears and good luck at the area competition! Teacher Spotlight - Stephanie Jamar is the fifth grade math teacher at Timpson Elementary School. 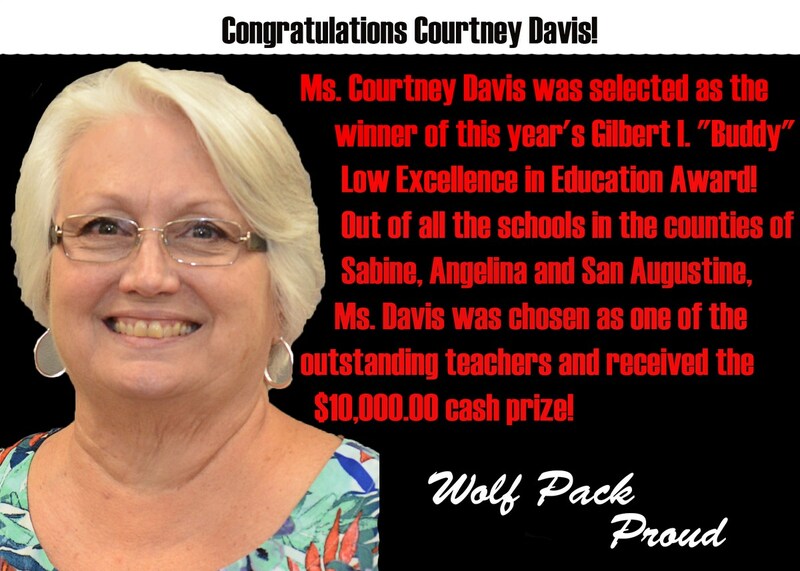 She has worked four years at Timpson ISD and a total of eight years teaching. She says the best part of her job is the children. She loves working with her students and says every day is an adventure. Ms. Jamar said, “I truly feel that I have learned as much from my students as they learn from me. Together we can change the world!” Watching Ms. Jamar teach with her energy, enthusiasm and love for her students, it is no wonder her students are confident about their math skills, perform well on state assessment tests and are well prepared to move on to sixth grade. She greets each student daily with a big smile and encouragement to do their best. She uses a variety of teaching methods to be able to reach all students. Ms. Jamar is also very active in extra-curricular activities including coaching UIL number sense, dictionary skills, and spelling. She drives a bus each day and on Saturday she holds tutorial sessions for students who need extra help. She also assists other teachers with technology, DMAC and webpages. She volunteers to help with school dances, benefits and special events. She recently spearheaded a basketball fundraiser that raised over $600 dollars for student Claycee Renick and TES counselor Tammy Sparks who had major illnesses and were facing steep medical costs. Thank you Ms. Jamar for being such a bright light of encouragement and support to our students. Teacher Spotlight – Mr. Don Calhoon is the Timpson High School world geography, government and economics teacher. He has taught for three years in Timpson. He previously taught for 16 years. He also served our country in the Marines. Mr. Calhoon retired but his love for teaching did not retire so he returned to the profession he loved when THS Principal Ron Lindgren offered him a job. He enjoys teaching geography because of his opportunity to travel and see many places while he served in the military. He likes teaching economics because he considers it a life skill all students will need throughout their lives. Government has always been interesting to Mr. Calhoon and he wants his students to have a real understanding of it because they will be the future of our country’s government. He also wants to teach them how to be informed voters. He has stayed current on the use of technology as an instructional tool and uses it often in his classroom to educate students on geography b showing them places and maps. He is also able to use technology for student research which helps them be knowledgeable about current events. He understands that today’s students use technology and by finding ways to use it in the classroom increases their interests in the subject and their learning. 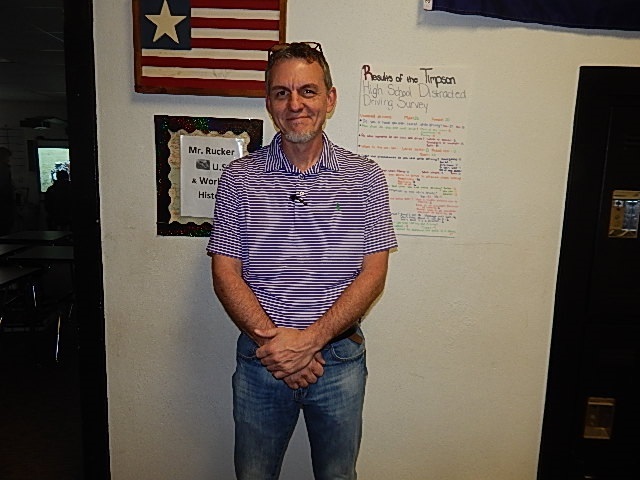 What Mr. Calhoon likes best about his job is working with the Timpson ISD staff and faculty. He says it feels like family and that we all love our students as if they are our own children. Mr. Calhoon understands that parents want the teachers to treat their children as teachers would want their own treated. That is exactly what Mr. Calhoon does by providing his students with the instruction needed to learn the subject matter and the support and encouragement they need to be successful learners. Mr. Calhoon is a junior class sponsor and coaches the UIL social studies team. He lives in Nacogdoches and drives 30 minutes to work but says it doesn’t seem that long because he enjoys working at THS. Thank you Mr. Calhoon for all that you do for our students. Center Boys Baseball defeated Tatum Eagles last night 9 - 4. The Timpson Bears baseball team has a home conference game vs. Mt. Enterprise on Tuesday, April 18 @ 6p. The Joaquin Rams baseball team defeated the Timpson Bears 18 - 8. Tenaha Tigers baseball team lost to the Gary Bulldogs 2 - 14. Dr. Dana Cooper, Student Success Center executive director and associate professor of history at SFA, will be the interviewer during the 2017 Archie McDonald Speaker Series. The speaker series event is free and scheduled for 7:30 p.m. Monday, April 24, in the Baker Pattillo Student Center Grand Ballroom on campus. Cooper will interview guest speaker Dr. Douglas Brinkley, an American historian, best-selling author and CNN presidential historian. "I was thrilled to hear that Dr. Douglas Brinkley was selected as the Archie McDonald speaker this year," Cooper said. "To have someone on our campus with his level of publishing success on such a wide range of topics and with his reputation as a respected media source on a wealth of issues is incredibly exciting." The Symphonic Band and University Band at Stephen F. Austin State University will perform their final concert of the spring semester at 7:30 p.m. Tuesday, April 25, in Cole Concert Hall on the SFA campus. The program, titled “Songs of the Earth,” will include selections by composers ranging in style from Ralph Vaughan Williams to Ryan George. 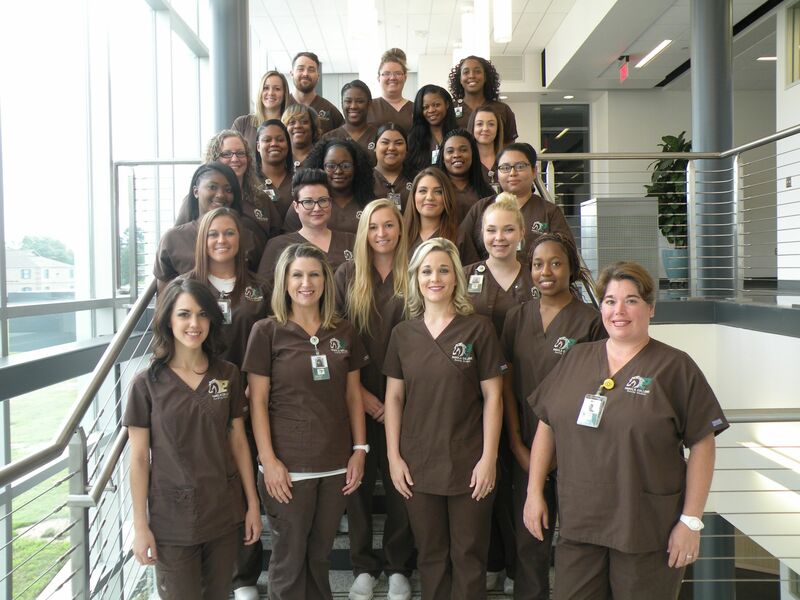 Associate Degree Nursing program, introduced speaker Dr. Barbara Cordell. The Orchestra of the Pines at Stephen F. Austin State University will present the program “Bartók and Berlioz” at 7:30 p.m. Monday, April 24, in Cole Concert Hall in the Wright Music Building on the SFA campus. A performance of Hungarian composer Béla Bartók’s Viola Concerto will feature soloist and first-prize winner in the 2017 Schmidbauer Young Artist Competition, Yong-Ha Jung, a junior at Flower Mound High School. Capping the 2016-17 orchestra season, the Orchestra of the Pines willalso perform Hector Berlioz’s Symphonie Fantastique, or Fantastic Symphony. The Timpson High School Band Boosters are having a bake sale TOMORROW Friday April 14 beginning at 9:00 a.m. at Quick Stop. See attached flyer for more details! dedication for students to learn how to judge and become successful. Our students have worked hard and practiced to be able to compete. Teacher Spotlight – Mrs. Cindy Sessions is a Timpson High School science teacher. She teaches chemistry, IPC and physics. She also serves as the campus tech support person and drives a route bus. The favorite parts of her job are the “Ah-Ha” moments when a student struggling with a concept understands it. She uses many different instructional techniques to ensure her students understand and master learning objectives. She encourages the students to employ the scientific method to find the answers. She also uses and hands on activities to help students figure out the answers themselves. She helps with the UIL One Act Play and has sponsored the junior and senior classes. 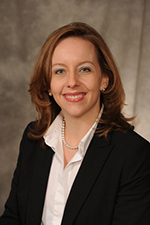 She is also actively involved in professional development and training. She has presented two times at the Conference for American Science Teachers (CAST), once (last summer) at the RC State Conference which only the best of the best get chosen to present, several times at Region 7 and she has applied to present at the TRC State conference this summer but will not get a confirmation until mid-May. She has received the TRC Grant 9 out of the last 10 years receiving over 1000 professional development hours. The TRC Grant pays for the conferences, plus a stipend for the year for the purchase of supplies for the science labs. Also through the TRC she met the person that was over MIPEP (Mitchell Institute physics grant) who sent her an application which she was awarded the grant that paid for her to stay at the Mitchell Ranch for two weeks. During this time a different Texas A&M professor from the Physics Department came to the ranch to help high school physics teachers with various high school TEKS and advised them what their expectations were for future college students. This opened the door for her to take the physics and chemistry students to A&M annually for a tour of the science facilities and a “physics show”. We appreciate all Mrs. Sessions does for our students. The Center Roughriders baseball team has an away game @ Tatum vs the Eagles tonight @ 7p.m. The Tenaha Tigers baseball team has a home game vs. Gary Bulldogs today @ 4:30p.m. The Timpson Bears baseball team has an away conference game @ Joaquin vs the Rams today @ 6p.m. The Shelbyville Dragons baseball team has a home game vs. Tenaha Tigers on Tuesday, April 18 @ 6p.m. The San Augustine Wolves baseball team has an away game @ Broaddus vs the Bulldogs on Tuesday, April 18 @ 12p.m. Garrison Bulldogs will play the Alto Yellow Jackets at the Minute Maid Park in Houston, TX today at 3:30 p.m it is free to attend. Parking is $5 and the gates open at 2:30 p.m.
SFA’s Music Preparatory Division in the School of Music will begin presenting student recitals April 29. The SFA community is invited to attend the recitals, which are the result of quality teaching, disciplined practice habits and the love of music. Click here to view the recital schedule. For more information, contact Pat Barnett, director of the Music Preparatory Division, at (936) 468-1291. The Trumpet Ensemble at SFA will perform a diverse concert ranging from traditional fanfares to a newly commissioned work at 7:30 p.m. Saturday, April 22, in the Cole Concert Hall on campus. Also known as The Wrecking Crew, the ensemble is a music class, made up of mostly trumpet majors, which meets each spring, according to Stephen Campbell, visiting professor of music at SFA and the ensemble’s director. The concert will feature performances by student percussionists, faculty organist Dr. Christina Harmon, men’s chorus, and music faculty members Dr. Richard G. Leonberger and Dr. Scott LaGraff. Tickets are $8 for adults, $6 for seniors, and $3 for students and children. For tickets or more information, call SFA's Fine Arts Box Office at (936) 468-6407 or (888) 240-ARTS. Registration information is available here. Online registration closes Wednesday, April 26. For more information, contact Dawn Stover, SFA Gardens research associate, at dawnstover@sfasu.edu or (936) 468-4404. SFA’s graduate school fair will take place from 10 a.m. to 2 p.m. today in the Baker Pattillo Student Center Twilight Ballroom. A total of 15 SFA graduate programs will be represented, along with five visiting graduate programs from LeTourneau University, Tarleton State University, Texas Woman's University, the University of Texas at Arlington and the University of North Texas. Additional questions related to graduate school will be answered during a panel discussion from 11 a.m. to noon in the student center Multimedia Room. Faculty members are encouraged to inform students about this opportunity. For more information, contact Trina Menefee, graduate school academic advisor, at (936) 468-1037. For more information, call (936) 468-4129.
the 3rd Grade AND at least 8 years of age (must meet both requirements)! questions and meet others that have done animal projects in the past. available to assist and answer questions! will be information sent out about that in Early September. - *May 17th*- $$ Due for purchase of Poultry Festival T-Shirts to Mrs.
compass to find the coordinates of their location while in the woods. their skills and become successful. Due to Rain we have had some schedule changes and some games have been moved around. This Friday the Shelbyville Dragons baseball team will take on the Joaquin Rams in a home game at noon. 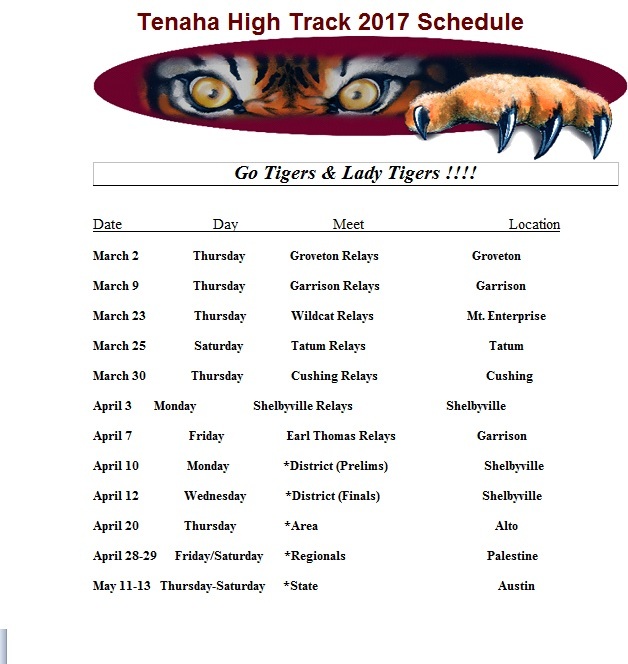 The Tenaha Tigers baseball team has a home game vs. Gary Bulldogs on Thursday, April 13 @ 4:30p. The San Augustine Wolves baseball team has an away game @ Broaddus on Tuesday, April 18 @ 12p. The watch your back program came to CHS on March 21st to help teach students proper driver safety. Staff Spotlight – Mrs. Teresa Osby is the Timpson Elementary School library aide. She has worked at Timpson ISD for 18 years. The favorite part of her job is that she enjoys getting to work with all the students at Timpson Elementary. She looks forward to reading stories to them and helping them learn to read words and teach the meaning of words they do not know. She hopes this will help them to develop a lifelong love for reading. She also recognizes that good reading skills are necessary to be able to learn all subjects and she wants to help students be strong readers. She keeps the library neat, attractive and decorated with the books easy to find and check out. She wants the library to be a place students enjoy visiting. She gives students opportunities throughout the week to check out books and provide them with related reading activities. Director of Academic Services, Stephanie Behrens, also visits the library to provide lessons from the AVID program that encourages students to learn study skills and to think about what kind of careers/jobs they would like to do in the future. Thank you Mrs. Osby for the outstanding job you do for our students. will be Friday, April 14th at 12 pm in Shelbyville. SFA’s spirit teams competed at the 2017 National Cheerleaders Association and National Dance Alliance Collegiate Championships last week in Daytona, Florida. SFA was named national champions in team performance dance. 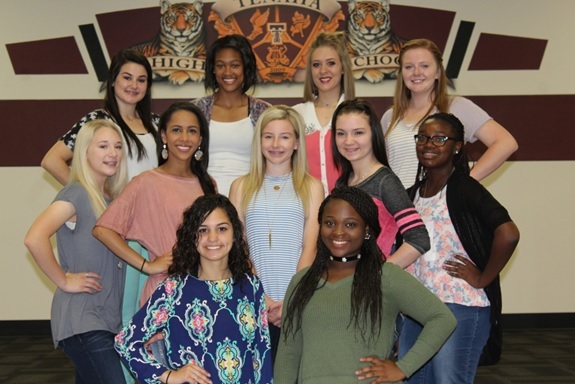 The all-girl cheer and pom dance squads also were named national champions. The small coed cheer squad received second place, while the large coed cheer squad received third. The hip-hop dance squad received fourth. April 11, 2017. We have re-scheduled for Monday, April 17th at 5:00 pm in Woden. Timpson High School will be holding project graduation this year on May 26th. This is an all-night event that is drug and alcohol free honoring the graduates . For more information or if you would like to sponsor this event please call 936-254-2463 or email dsmith@timpsonisd.com. 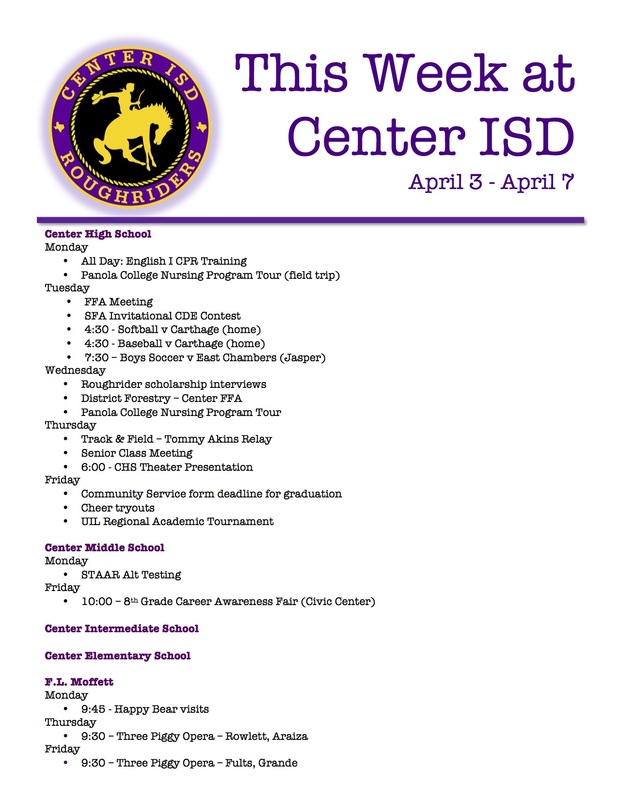 The Center Roughriders baseball team has an away game vs. Rusk Eagles on Tuesday, April 11 @ 7p. The Joaquin Rams baseball team has an away game @ rival school Shelbyville on Tuesday, April 11 @ 6p. 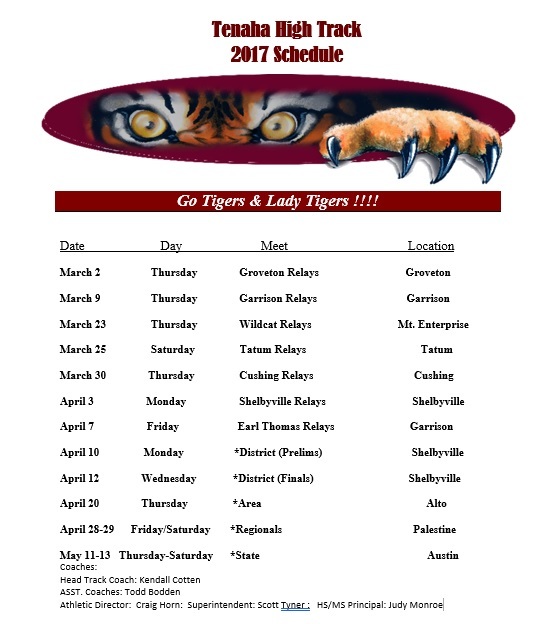 The Tenaha Tigers baseball team has an away game @ Martinsville Pirates on Tuesday, April 11 @ 6p. The San Augustine Wolves baseball team has an away game @ Colmesneil Bulldogs on Tuesday, April 11 @ 6p. Ballroom of the Charles C. Matthews Foundation Student Center. Tatum; Ashley Newton, Woden; Lauren Williams, Tatum. Mabank. 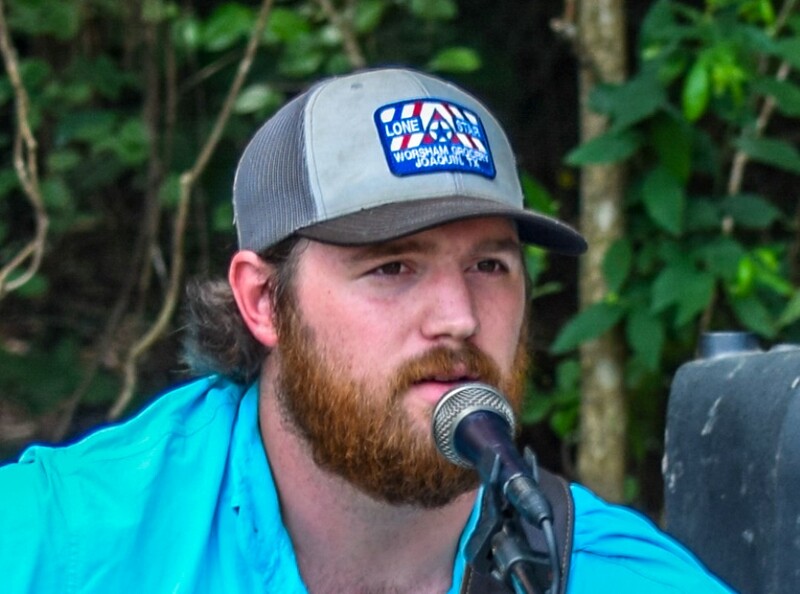 On bass guitar: Branton Reeves, Beckville. 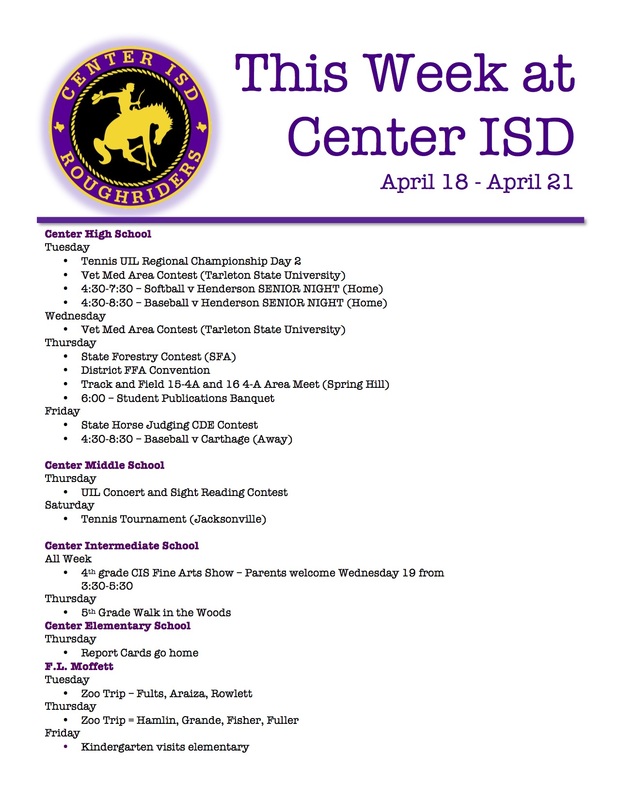 Tues. April 11 – TISD Board of Trustees Meeting in boardroom @ 6:30 p.m.
---------------------- Softball vs. Alto – Away @ 5:00 p.m.
---------------------- Baseball vs. Woden – There @ 6:00 p.m.
---------------------- Timpson Elementary School NED program @ 1:30 p.m.
---------------------- High School track meet finals start @ 6:00 p.m.
Thurs. 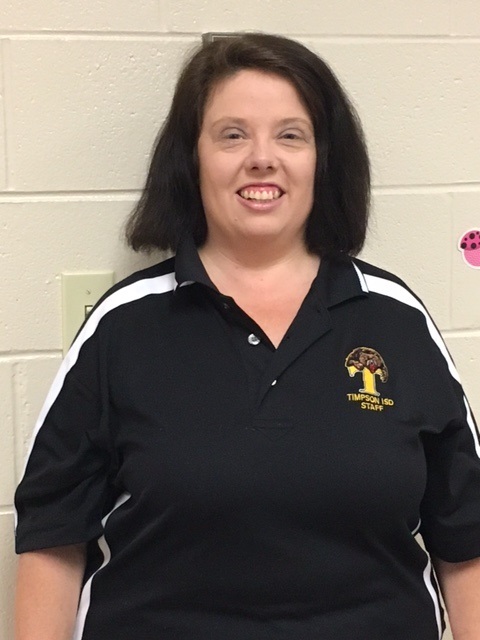 April 13 – Softball vs. Gary – Away @ 5:00 p.m.
---------------------- Baseball vs. Joaquin – There @ 6:00 p.m.
Staff Spotlight - Ms. Vicki Hightower is the Timpson Elementary School Pre-K educational aide. She works with Ms. Penny Ramsey to provide small group and individual instruction to our youngest students. Mrs. Hightower is a very creative person and enjoys coming up with hands on activities that students not only enjoy but that also enhance their creativity and problem solving skills. 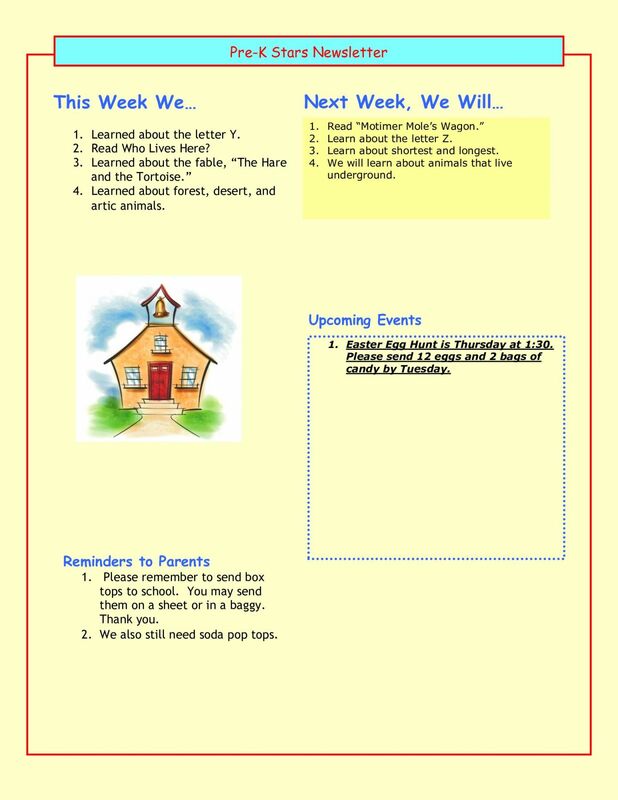 She also helps to share with parents and community what Pre-K students are learning by taking photos and sending articles through the class parent page and Bear Updates. We appreciate Mrs. Hightower’s dedication to our youngest students. 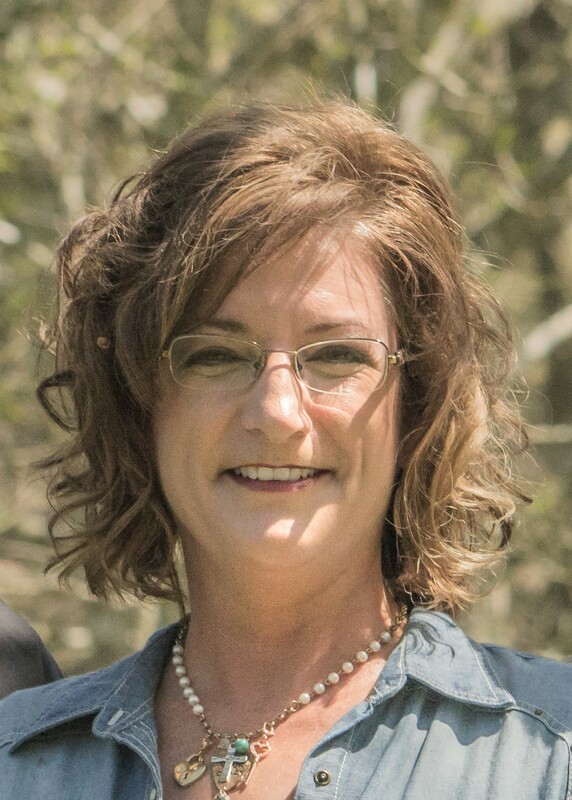 Teacher Spotlight – Tracy Rucker teaches social studies at Timpson High School. Teaching is a second career for Mr. Rucker who had previously worked for the City of Nacogdoches. Working with students and teaching a subject he has a true interest in and passion for is what made Mr. Rucker choose teaching history as his second career. He was also very excited to give back to the school system that had given him so much. He is a 1986 Timpson High School graduate. He said he loves being back home around friends, family and the THS staff and students. His father and grandparents helped develop his love of history by teaching it to him and stressing the importance of how understanding what has happened in our past can help us shape a better future for our country and world—the country and world his students will live in and help shape. He uses technology as part of his instruction not only to let students see important historical moments in our history but also to show current news events and their impact on student’s’ lives. Mr. Rucker also is involved in extra- curricular activities. He organized and sponsors the THS Bass Club and is a senior class sponsor. We appreciate Mr. Rucker’s enthusiasm for learning and his dedication to his students. Plant ID - Jeremy Wagstaff, Cutter Smith, Holly Hughes and Ryan Clay Stamps placed 3rd. 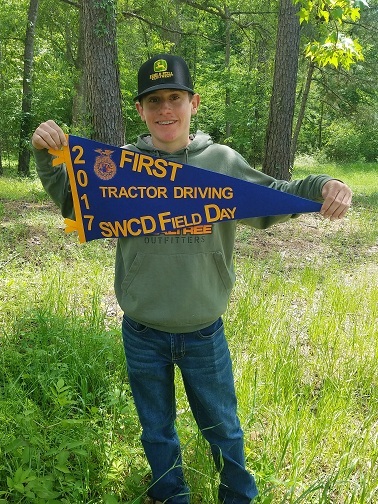 Soil and Water Conservation District Field Day - The Timpson FFA Chapter competed at the Soil and Water Conservation District Field day on April 5 at Attoyac Farms. SFA faculty members will be recognized for their teaching abilities at the annual Teaching Excellence Convocation from 1:30 to 3 p.m. tomorrow in the Baker Pattillo Student Center Movie Theater, located on the second floor of the student center. Dr. Kyle Jones, associate professor of finance in the Rusche College of Business; Dr. Christina Sinclair, interim associate dean for assessment and accountability and associate professor in the James I. Perkins College of Education; Dr. David A. Lewis, professor of art history in the School of Art; Dr. Joey Bray, chair for the Department of Agriculture and associate professor; Dr. Jessie Sams, associate professor of linguistics in the Department of English and Creative Writing; Dr. Joe Musser, associate professor in the Department of Physics, Engineering and Astronomy; and Marie Kelly, lecturer in the Schlief School of Accountancy. times are set for 1pm and 3pm. 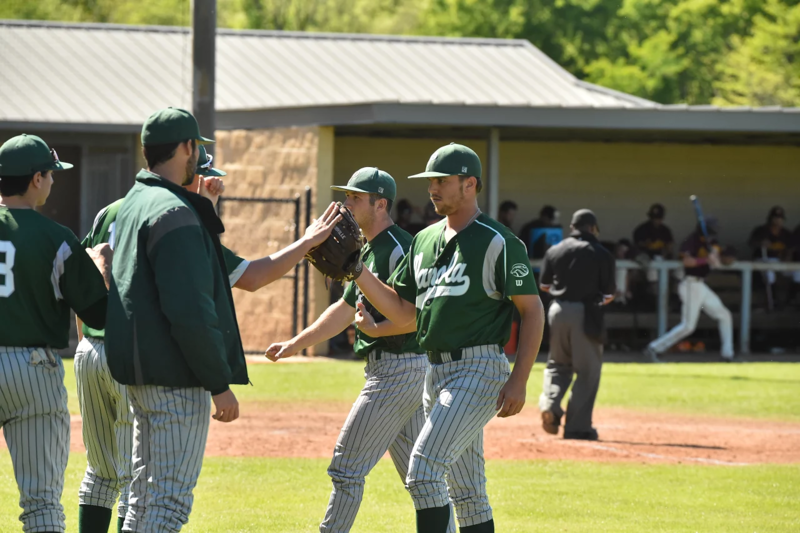 Panola College Wins Back-And-Forth Affair Against Bossier Parish C.C. single by Thompson, and a home run by Frost. one run, five hits, striking out one, and walking zero. four runs, eight hits, striking out three, and walking zero. and Christian Boulware homered in the sixth inning. Ellis* singled, driving in one run to win the game in dramatic fashion. the seventh, and a home run by Thompson in the eighth. when he doubled in the first inning. innings, giving up one run, one hit, striking out one, and walking zero. surrendering two runs, four hits, striking out five, and walking zero. had 12 chances in the field, the most on the team. up two runs, five hits, striking out three, and walking one. Christian Schilder, Jasmine Osby, Ty Fox, Justin Harbison and Kurtrick Allen will compete in Austin on April 21st and 22nd at the Academic UIL State Meet. tournament for the first time ever. an opportunity to be recognized for their work. Sabine State Bank this Monday on KQBB. each morning while the rest of the campus recites pledges to both flags. Academic UIL Qualifiers – Students who qualified for the Regional Academic UIL contest will compete April 7-8 at Panola Junior College. Congratulations for making it to Regionals and good luck in this competition. Tomlinson Receives Grant - Timpson High School math teacher Mrs. Suzanne Tomlinson was recently awarded a grant to attend and present at regional and state math conferences. The Texas Regional Collaborative is a grant that was conceived over 20 years ago for Texas science and math teachers. The grant is designed to help science and math teacher throughout the state of Texas by allowing them the opportunity to share successful lessons with each other to help with struggling students. Teachers that are awarded the grant will earn over 100 professional credit hours for the year while being compensated for their efforts. Each teacher agrees to mentor another teacher in their discipline for a minimum of 12 hours by sharing lessons that have been presented at TRC workshops, developing new lessons to match the needs of students, and by answering any questions about classroom management. Teachers are also encouraged to present some of their most successful lessons at Region 7 which is the grant manager for Timpson High School. Math teachers are also encouraged to attend and present at the state math conference, Conference of American Math Teachers (CAMT) during the summer. Science teachers are also encouraged to attend and present at the Conference of American Science Teachers (CAST) during the fall. Both conferences are attended by teachers from Texas and throughout the United States. Data has verified that students who have been taught by a collaborative teacher have higher scores for state test, college entrance exams and are more successful in institutes of higher learning. Teacher Spotlight – Penny Ramsey is the Timpson Elementary School Pre-K teacher. The part of her job she loves the most is seeing students learn. She enjoys teaching her students using hands on games and learning because she knows this is how the young students learn best. Ms. Ramsey is also working with a Pre-K initiative grant to help enhance the quality standards related to curriculum, academic performance and family engagement. Ms. Ramsey has enjoyed working with Timpson High School Vocational Agriculture teachers Mrs. Powers and Mr. Gaylord who adopted the Pre-K class to plant and care for a garden and how to care for lambs and pigs. The Pre-K students really enjoy getting to pet these animals. 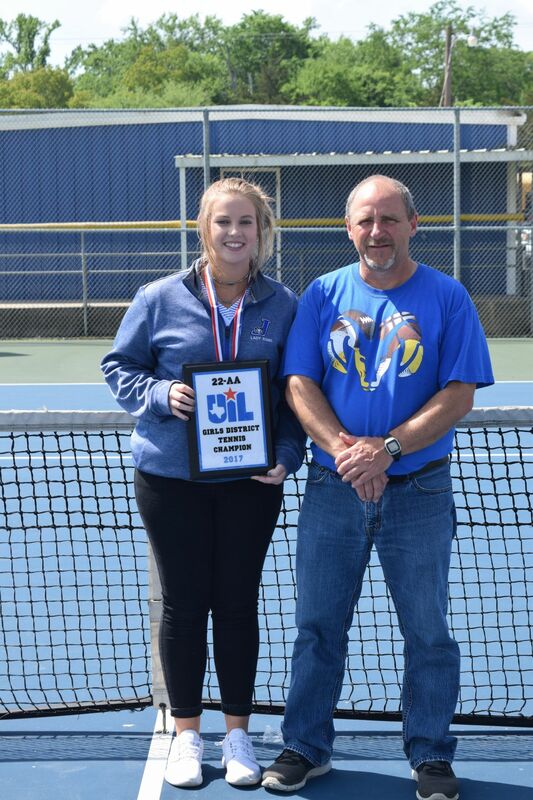 She is also involved in extra- curricular activities such as the Athletic Booster Club concession stand, coaching 5th grade UIL ready writing and going to livestock shows with her daughter, April. She also attends First Methodist Church in Timpson. Center boys baseball defeated Woden Eagles 12 - 4. Center Boys soccer loss to Washington Eagles 1 - 2. The Shelbyville Dragon's baseball team crushed the Timpson Bears 10 - 0. Joaquin Rams baseball team lost to Gary 3 -5.
reach Nationals in Florida this summer. 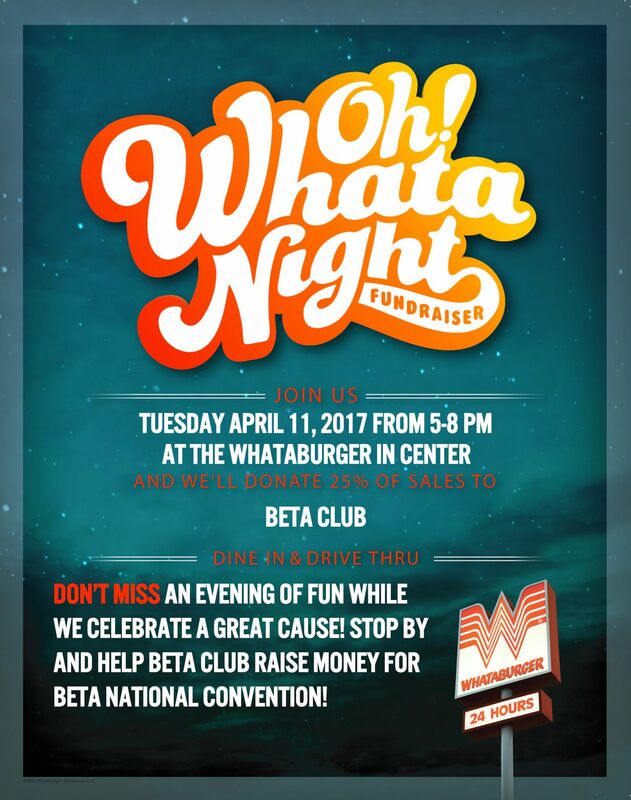 Whataburger will donate 25% of sales to Beta Club, dine in and drive thru. Timpson ISD Round Robin Tournament - Attached is a revised schedule for the Timpson fifth and sixth grade Round Robin Tournament. THS Golf Team Wins District – The Timpson High School golf team placed first in district. Team members are Cutter Smith, Brock Behrens, Dustin Pledger, Jaydon Johnson, and T. Earl. Coach Behrens coaches the golf team. Dustin Pledger placed first in the tournament as an individual player. Brock Behrens and Cutter Smith tied for second place as individuals in the tournament. Congratulations to all these players. The golf team will compete in the Regional tournament in Corsicana April 24-25. The U.S. flag will be lowered to half-staff today in honor of former U.S. Sen., NASA astronaut and Navy aviator John Glenn. Soccer game on Friday April 7, 2017. $5.00, Students $3.00 and children under 5 years of age are free. ensure on time arrival at the game. The Masonic Home and School of Texas brought the Fantastic Teeth Fan Club to Joaquin Elementary 1st graders on February 15, 2017. Our first graders were nominated by Joaquin Masonic Lodge #856. A dental hygiene video and question/answer presentation was given by JISD School Nurse, Portia King, LVN before the local Masons, Mr. Randy Bonner and Mr. John Paul Sledge, handed out preventative tooth decay kits. The students were very attentive and appreciated the kits given to them. Joaquin Elementary gives a Big Shout Out to our local Masonic Lodge #856, The Masonic Home and School of Texas and The Fantastic Teeth Club. not cause a conflict for anyone. 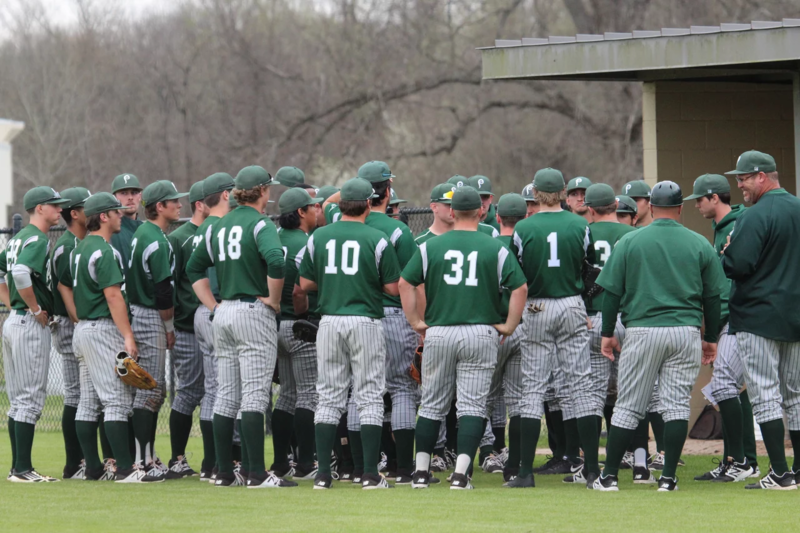 The Center Roughriders baseball team has an away non-conference game @ Woden on Saturday, April 8 @ 12p. The Shelbyville Dragons baseball team has an away conference game @ Timpson on Friday, April 7 @ 6p. The Joaquin Rams baseball team has a home conference game vs. Gary on Friday, April 7 @ 6p. 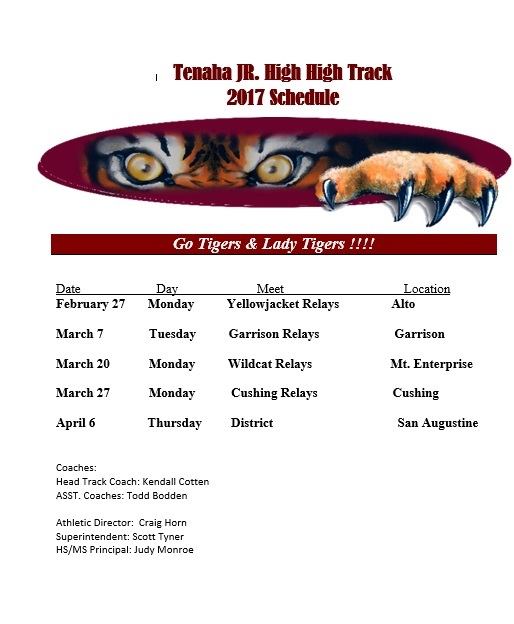 The Tenaha Tigers baseball team has an away conference game @ Woden on Friday, April 7 @ 6p. The San Augustine Wolves baseball team has an away conference game @ Colmesneil on Tuesday, April 11 @ 6p. 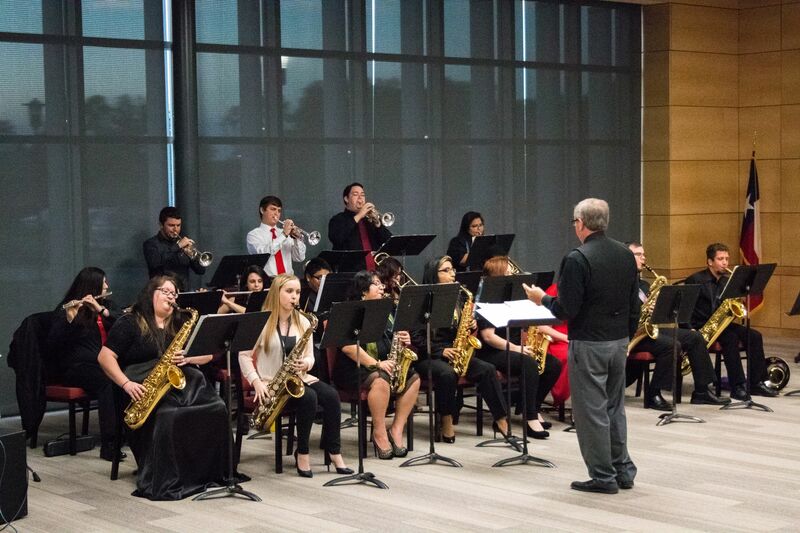 The SFA Friends of Music will accept reservations through noon Monday, April 24, for Extravaganza 30, Stephen F. Austin State University School of Music’s annual gala banquet. The event, scheduled for 6:30 p.m. Friday, April 28, in the Grand Ballroom of SFA’s Baker Pattillo Student Center, will honor Dr. Peggy Wright of Nacogdoches as outstanding music alumna. The Contemporary Ensemble at Stephen F. Austin State University will perform selections from critically acclaimed musical performer Stevie Wonder’s “Natural Wonder” concert when the ensemble performs at 7:30 p.m. Wednesday, April 19, in Cole Concert Hall on the SFA campus. The ensemble will perform Wonder’s “I Wish,” “Superstition,” “Higher Ground,” “Dancing to the Rhythm” and other favorites. Center Middle School will be hosting a book fair beginning Friday, April 7 through Thursday, April 13. The Texas chapter of the National Association for Multicultural Education will host its 16th annual conference Friday and Saturday, April 7-8, in SFA’s Janice A. Pattillo Early Childhood Research Center. The event is sponsored by SFA's James I. Perkins College of Education and Department of Elementary Education, SFA's Office of Multicultural Affairs and the National Association for Multicultural Education. The conference will include a free storytelling event featuring Verdis Daniels Jr. of Nacogdoches from 6 to 8:30 p.m. Friday, April 7, in the ECRC, Room 212. Conference events, including poster, breakout and panel sessions, will occur Saturday, April 8, in the ECRC, along with two keynote speakers and a luncheon. Dr. Marlon C. James, assistant professor of urban education and the co-director of the collaborative for advancing urban school excellence at Texas A&M University, will be the morning speaker. The second keynote speaker will be Dr. Cherry Ross Gooden who retired from Texas Southern University in 2013 after 36 years of service. Top Master’s in Healthcare Administration, an online resource for finding up-to-date and easy-to-understand information about receiving a degree related to health care management, has ranked SFA among the top 30 institutions in the nation for its bachelor’s degree program in health science. Top Master’s in Healthcare Administration ranked eligible colleges and universities based on tracks offered, breadth of options, program popularity and cost of attendance. The third annual SFA Bario Writers workshop will take place from 1 to 4 p.m. June 5-9 in the McKibben Education Building. The free workshop, open to children and young adults ages 13 to 21, provides writing mentorship, field trips and musical performances aimed at inspiring and improving creative writing skills. SFA’s Early Childhood Laboratory is selling fajita dinners to help raise funds for the ECHL’s PTO. The meals are sponsored by Sombrero’s Mexican Bar and Grill and will include fajitas, beans, rice, three tortillas and a cookie. Tickets are $10 per plate and can be purchased at the ECHL office. Payments are due by Thursday, April 13. 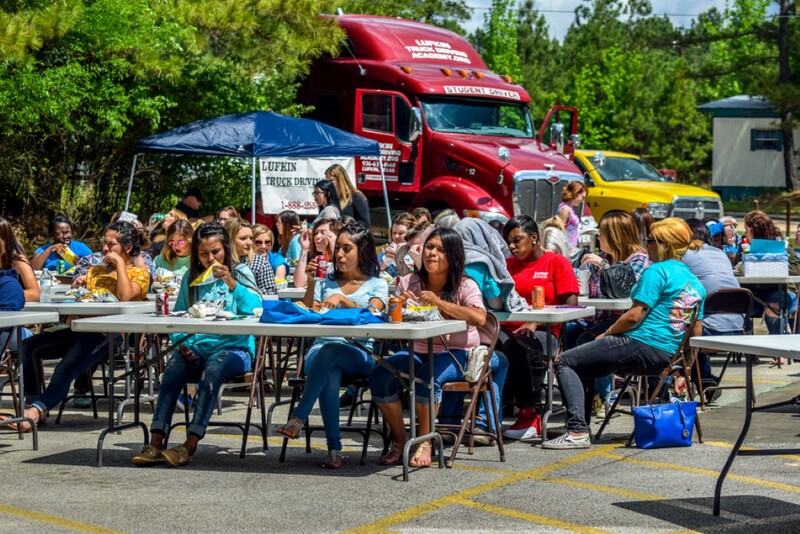 Meals will be available for pick-up from 4 to 6 p.m. Thursday, April 27, at the south entrance of the Janice A. Pattillo Early Childhood Research Center. For more information, contact Lori Harkness, director of the ECHL, at (936) 468-4006. 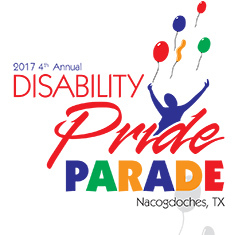 The fourth annual Disability Pride Parade will begin at 2 p.m. Saturday, April 8, in downtown Nacogdoches. The mission of the parade is to develop a sense of pride and empowerment in people with disabilities, empower people with disabilities to openly declare pride in who they are and educate the community about disability as a beautiful aspect of diversity. For more information, contact Dr. Alan Larson, associate professor of human services, at (936) 468-1150. 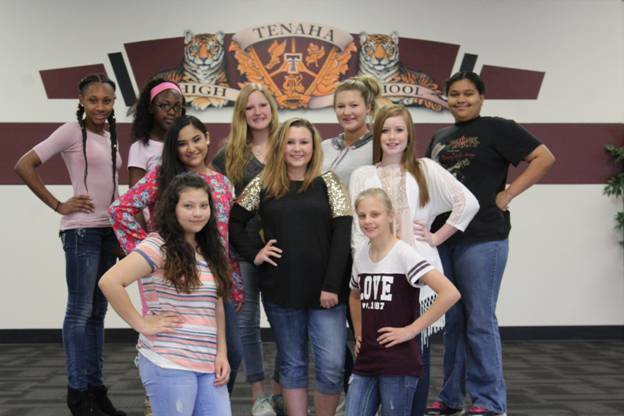 Pictured above are the newly elected Tenaha High School Cheerleaders. Front row left to right Rebekah Bridges and Marneisha Rasberry. Second row left to right is JayLynn Durbin, Jaden Washington, Drew Henry, Madison Hicks and Teambria Suell. Back row left to right; Gracie Martinson, Joneisha Thompson, Maggie Hughes and Hunter Collins. The Ponies finished the season with the most wins in school history, 26.
won the Region 14, North Division during the regular season. THS Career camp – The Timpson High School Career Camp was held last Friday in the Community Building of SoSo Park. A variety of speakers from local area businesses and schools, government agencies and the military spoke to students about the importance of interview skills, job requirements, proper dress and shared other ideas that would help students prepare and be successful in their chosen field. Timpson High School staff Principal Ron Lindgren, Assistant Principal Betty Ivins, Counselor Charlotte Metcalf and Go Center Director Vernett Richardson expressed their appreciation to the students who were well behaved and attentive to the speakers. They also expressed their appreciation to the speakers for making it such an interesting and informative day for the THS juniors and seniors. TES Pre-K Fieldtrip – Teaching young students about the importance of exercise and is an important part of Pre-K curriculum. Pre-K students recently enjoyed a field trip to Nacogdoches where they had fun playing in the park and Party & Things. After getting all that healthy exercise, students enjoyed a picnic at Maroney Park before returning to school. Copies of certified birth certificate, immunization record, social security card, and proof of Shelbyville ISD residency. 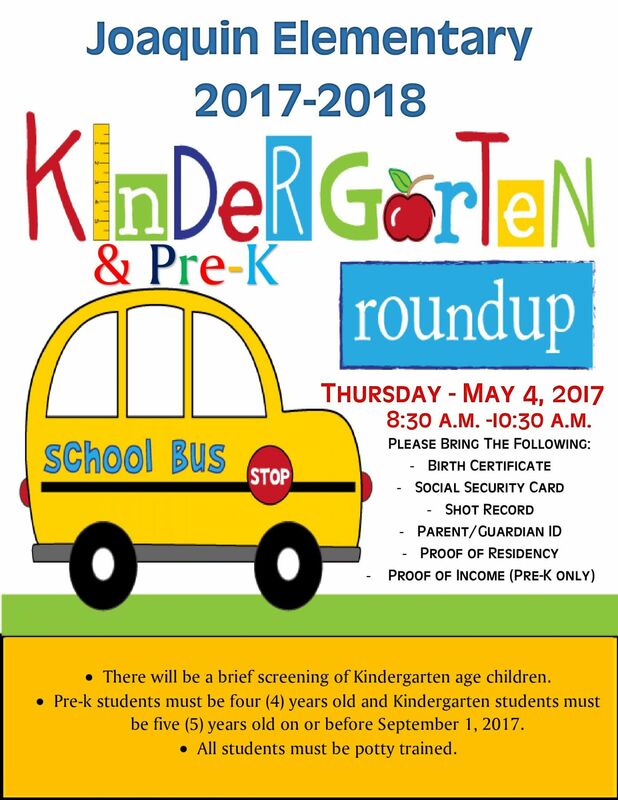 We also need a copy of your current pay stub, if registering for Pre-kindergarten. Shelbyville ISD provides a pre-kindergarten program to meet the needs of qualifying young children in our district. • Be in, or have been in, the conservatorship of the Department of Family and Protective Services (DFPS) following an adversary hearing held as provided by Section 262.201, Family Code Children with disabilities may receive services from the public schools as soon as they turn three years of age. Early assessment and education is available free of charge to children having any of the following disabilities: Speech or Language Deficit, Physical Disability, Vision and Hearing Impairments, Autism, Mental Retardation, Emotional Disturbance. Shelbyville ISD also offers a Pre-kindergarten program for students who do not qualify. All requests for enrollment in the Pre-kindergarten pay program are subject to approval by Shelbyville ISD. Enrollment is limited. If you have any questions concerning registration, please call (936)598-7363. Students attending S. W. Carter Elementary School’s pre-kindergarten program for the 2016-2017 school year will automatically be pre-registered for kindergarten. S.W Carter Elementary School is having a book fair April 17th - 21th. 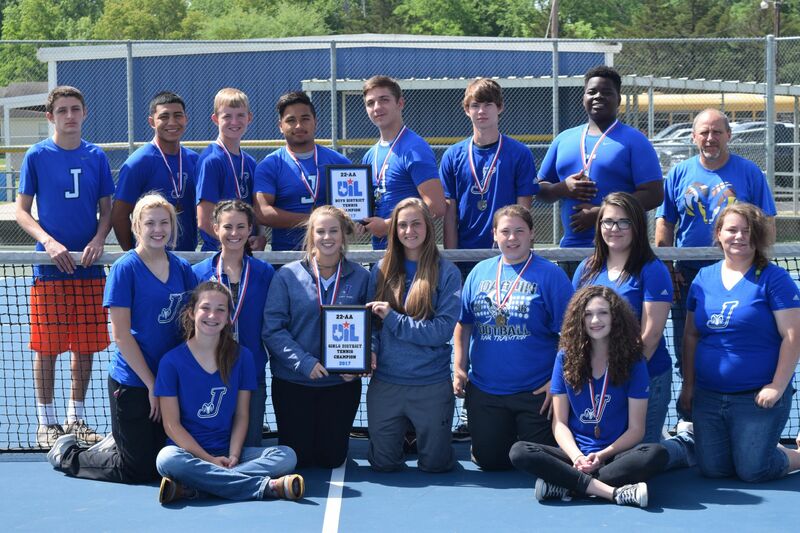 tournament held the following week at Longview HS April 18-19. 6th,7th,& 8th) collected $563.35. Our top collecting class was Ms.
rewarded a trip to Olive Garden for lunch. making this a big success. ------------------- Softball vs. Mt. Enterprise – Away @ 5:00 p.m.
------------------- Baseball vs. Gary – There @ 6:00 p.m.
---------------- Softball vs. Joaquin – Away @ 5:00 p.m.
---------------- Baseball vs. Shelbyville – Home @ 6:00 p.m.
THS 2017 Football Schedule - Attached is the Timpson Bear 2017-18 football schedule. 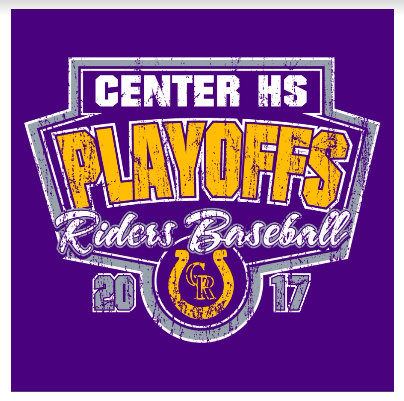 The Center Roughriders baseball team has a home game vs. rival school Carthage on Tuesday, April 4 @ 7p. Center Boys Socer Defeated Gatesville 2 - 0. They will take on East Chambers on Tuesday, April 4 @ 7:30p in Winnie, TX. The Timpson Bears baseball team has an away conference game @ Gary on Tuesday, April 4 @ 6p. 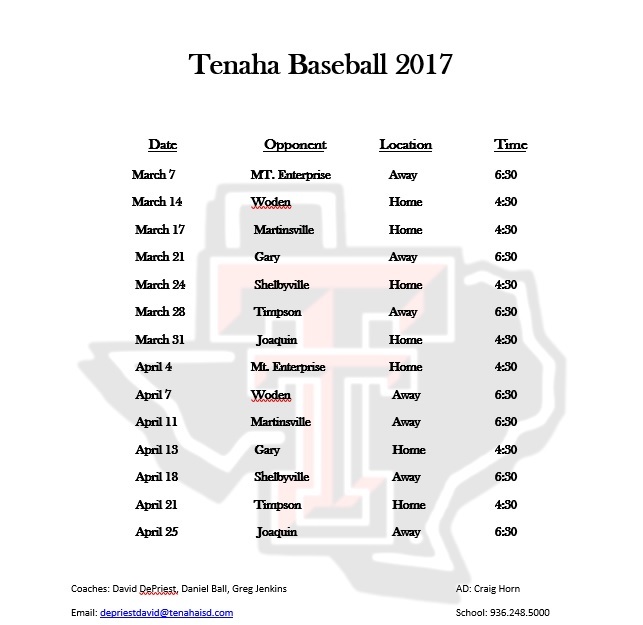 The Tenaha Tigers baseball team has a home conference game vs. Mt. Enterprise on Tuesday, April 4 @ 4:30p. The Joaquin Rams baseball team has a home game vs. Martinsville on Tuesday, April 4 @ 6p. The Shelbyville Dragons baseball team has an away game @ Timpson on Friday, April 7 @ 6p. 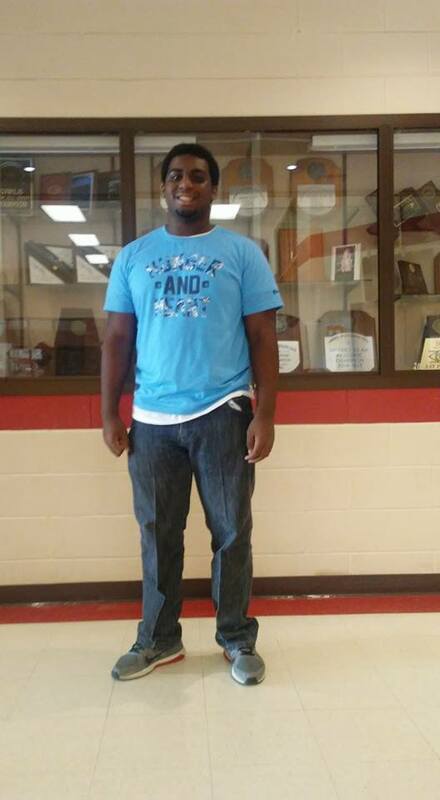 Navarro College on Thursday in Carthage. run when Cheaney singled with one out in the second inning. came thanks to a double by Shelburn and a home run by Menchuck. innings, allowing four runs, four hits, striking out five, and walking one. *Christian Boulware* and *Duke Ellis* each drove in one run to lead Panola. Navarro College 9-1 on Saturday’s game one of the double header. seventh giving six RBI’s on the day. two hits, striking out eight, and walking zero. of *Gannon Reiswig*, driving in one run. drove in one when he singled in the sixth inning. couldn’t get the big hit. two runs, two hits, and walking one.